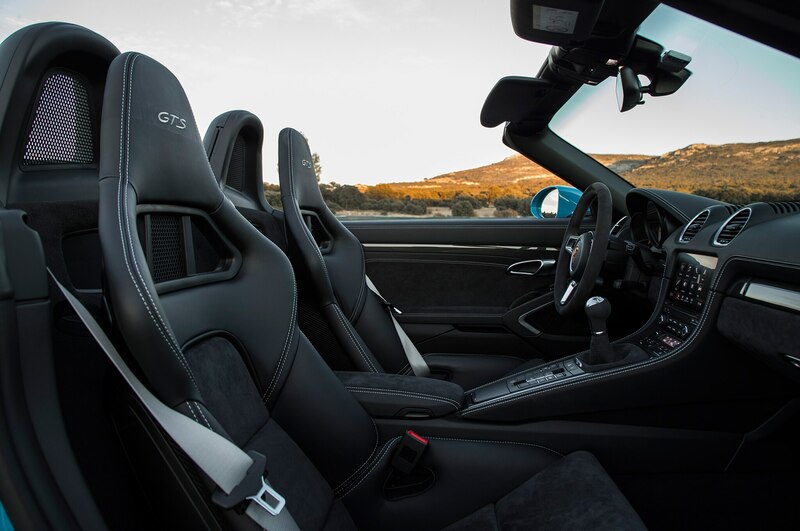 Some eight-or-so years ago, the newly minted 2011 Porsche 911 Carrera GTS and its fresh acronymic title attracted a fair share of scrutiny. 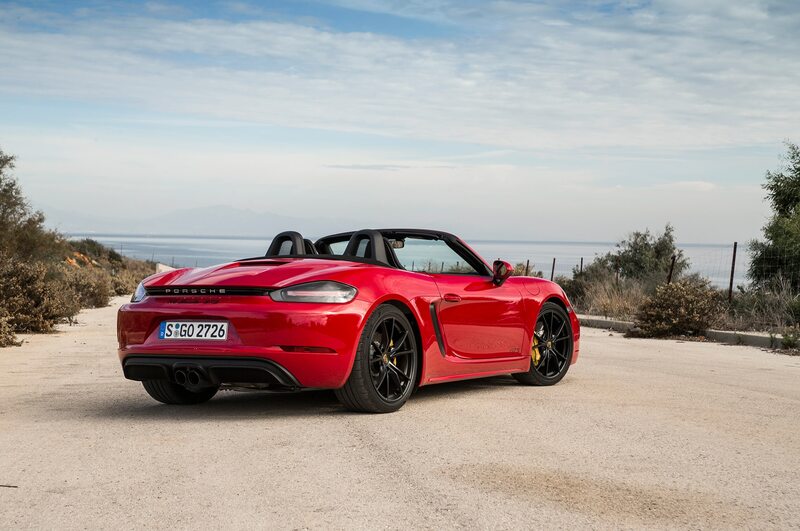 Aside from the handful of semi-cosmetic GTS trims on the bygone 928 and the Cayenne, a comprehensive GTS package was a new, scary thing. 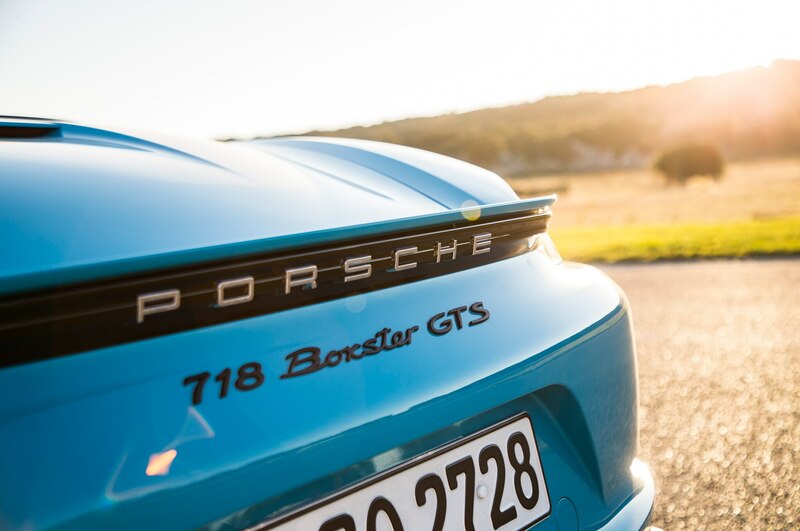 For some, it made the 911 (and Panamera) lineup more confusing than ever, serving as a cynical cash-grab that was too expensive for a non-GT product. 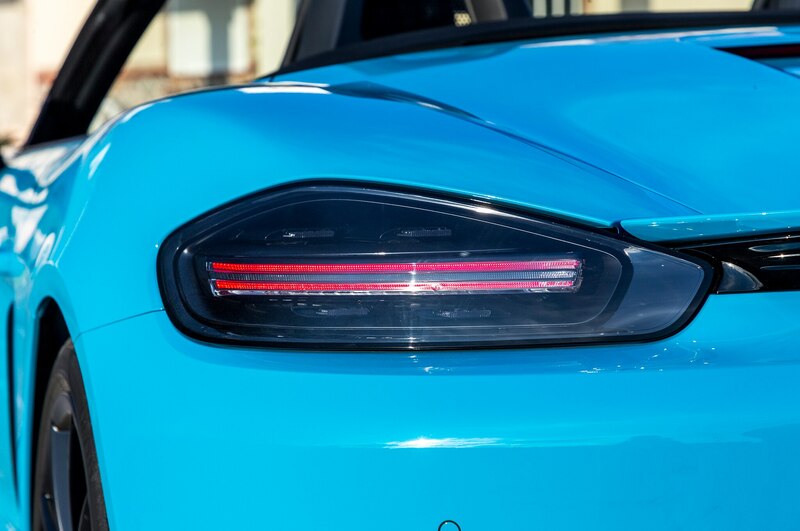 Now, we know better. 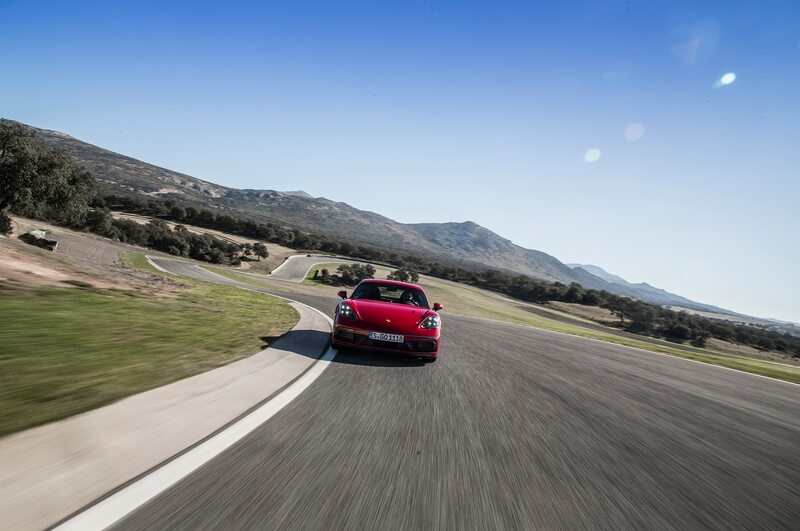 The 997.2 GTS proved to be one of the sweetest drivers from that era, and launched a successful model branch that’s an expected and integral part of modern Porsche. 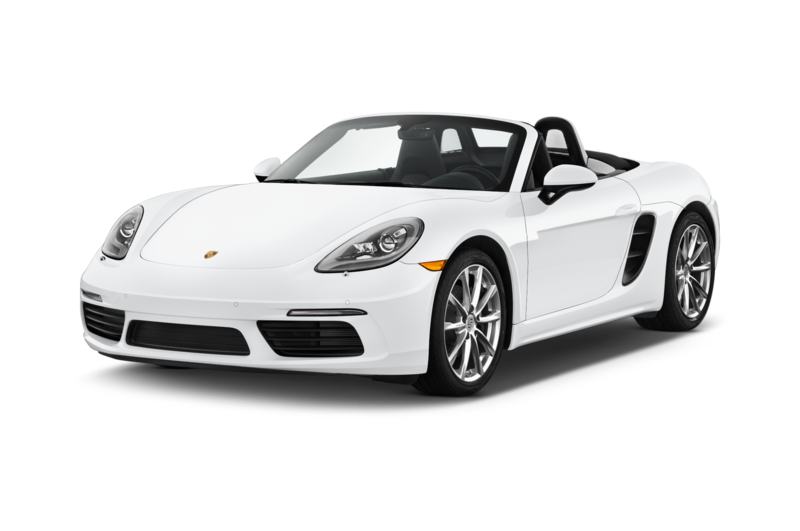 It’s usually the one to buy too, provided you can afford the extra cash. 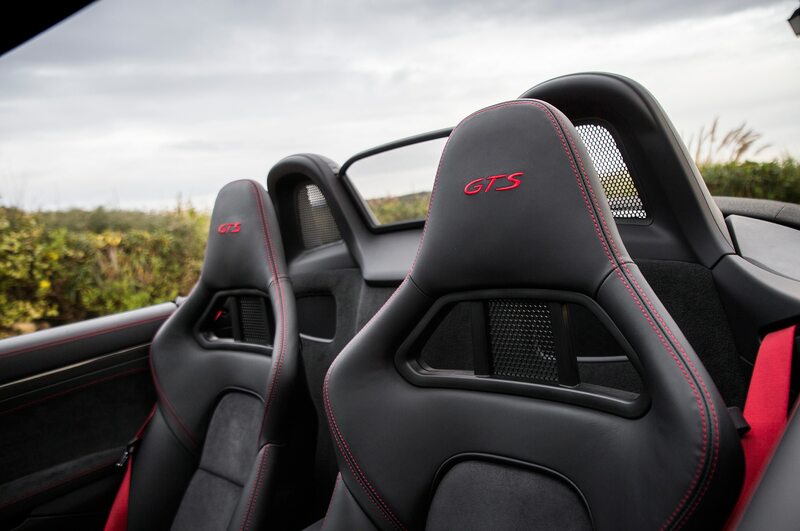 The new-for-2018 718 GTS twins should come as no surprise, then. 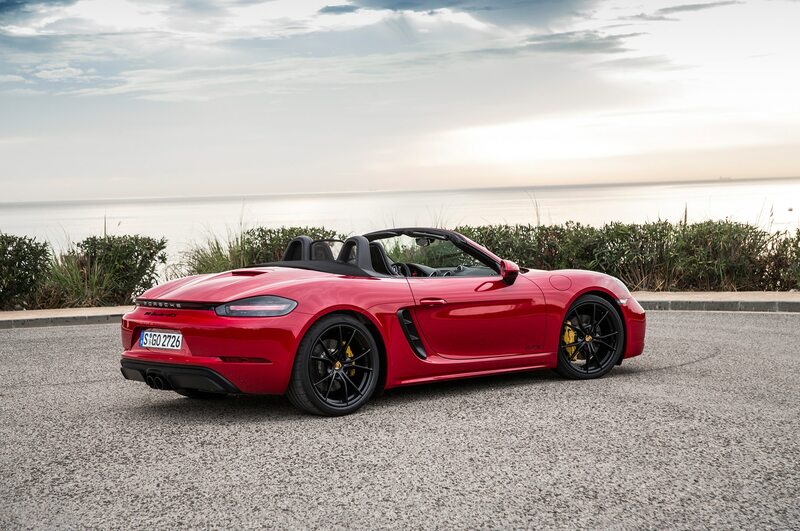 Following the same GTS formula developed nearly ten years ago, the range-topping (for now) 718 Boxster and Cayman GTS essentially check all of the available boxes on the dealer order form, with a few trim-exclusive goodies thrown in for good measure. 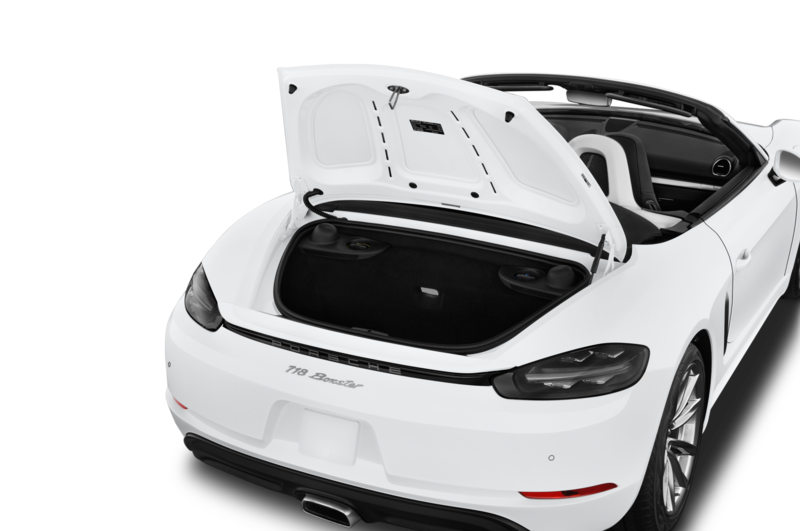 For an extra ten grand over the “S” model, Porsche glues “GTS” script to the rear decklid and adds a bundle of battening-down hardware. 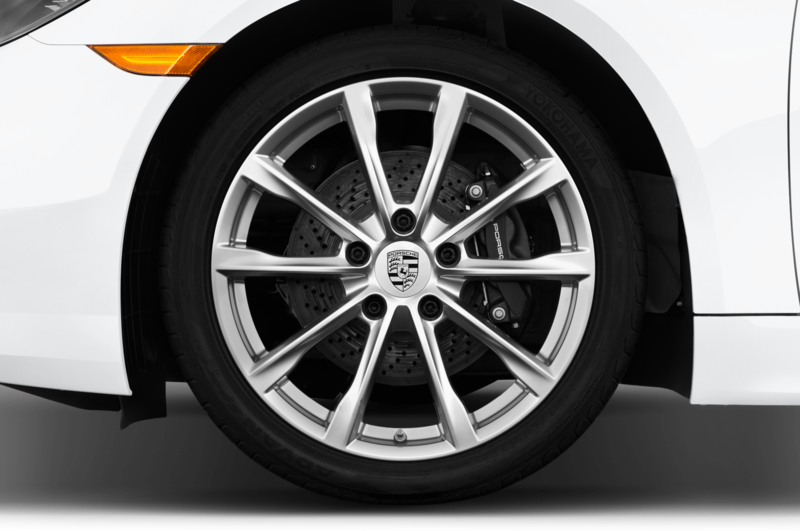 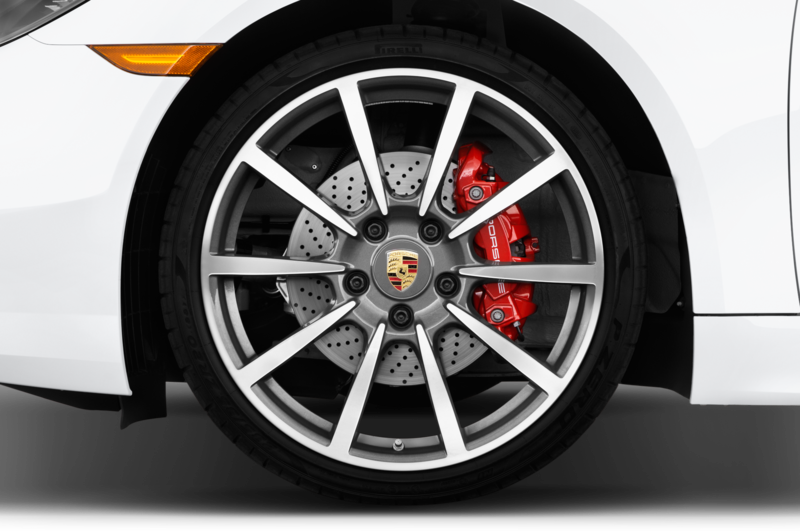 Porsche Active Suspension Management (PASM) is standard, as is Porsche Torque Vectoring (PTV) with a limited-slip diff, and 13-inch front brakes pulled from the base Carrera that hide behind 20-inch wheels plucked from the Carrera S. For those who are never satisfied, Porsche will throw PASM Sport into the mix for a piddling $290, dropping the ride height down an additional 0.8-inches. 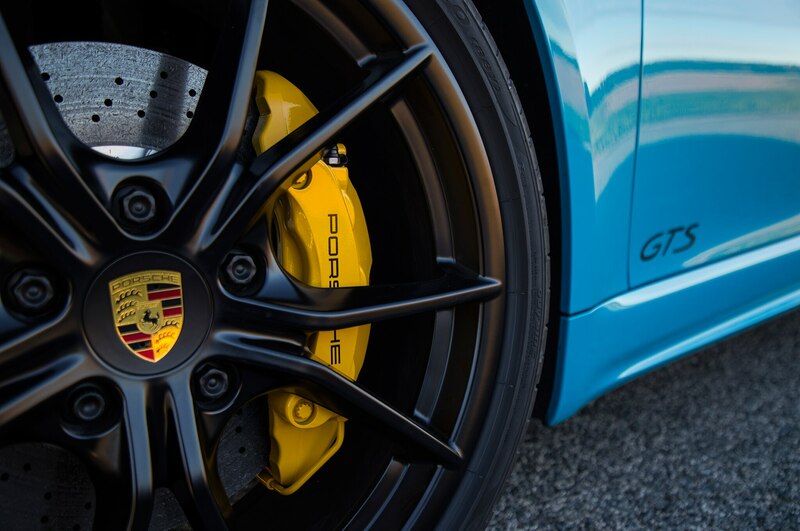 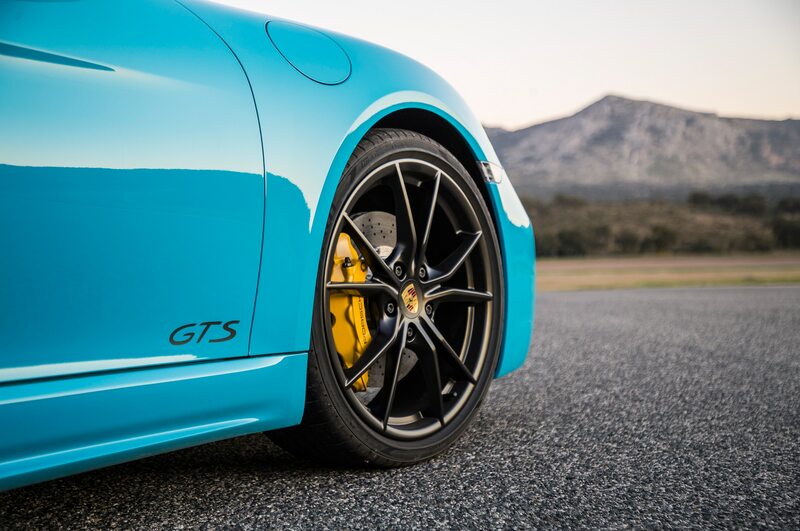 It will also install a set of carbon ceramic brakes for a whopping $7,410. 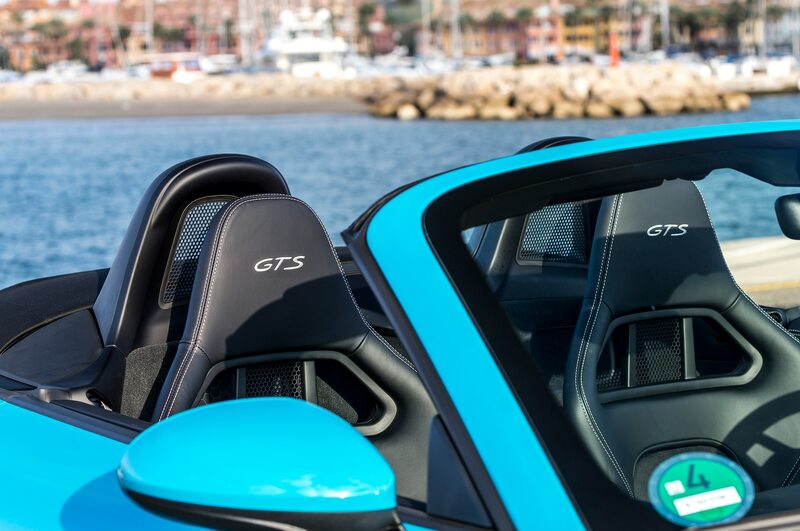 Aesthetically, the new GTS twins look subtly aggressive thanks to the standard Sport Design package, which adds modified front and rear fasciae, accentuated by darkened script and trim. 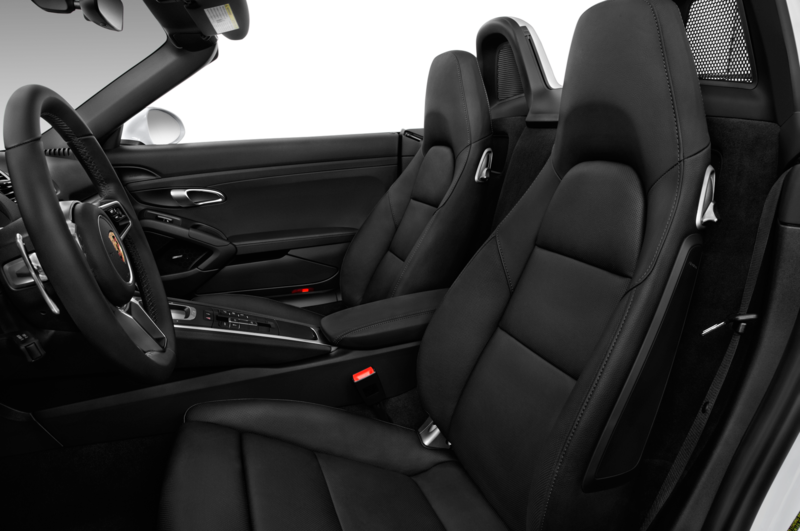 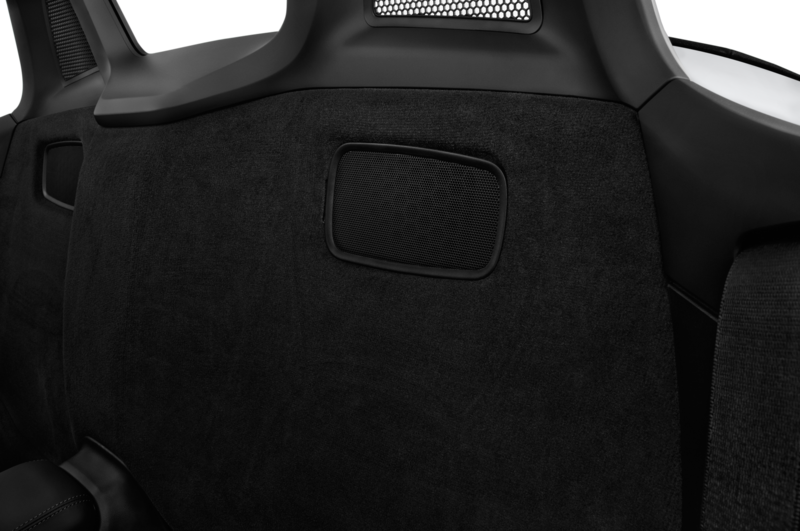 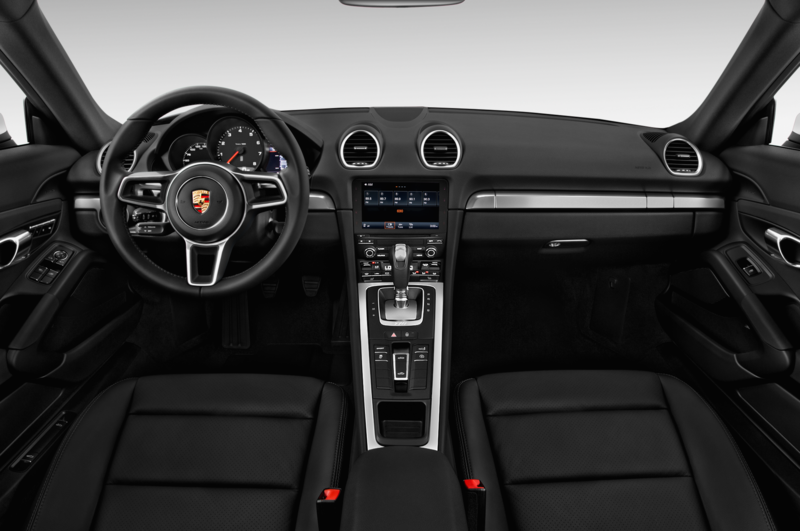 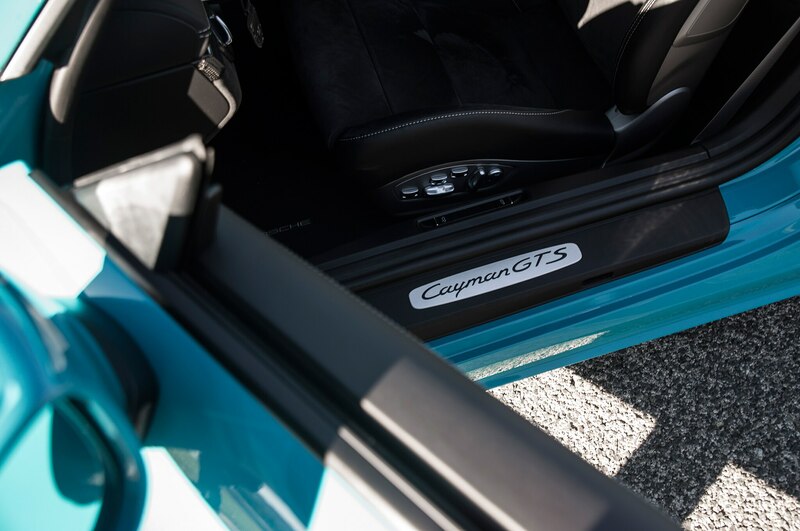 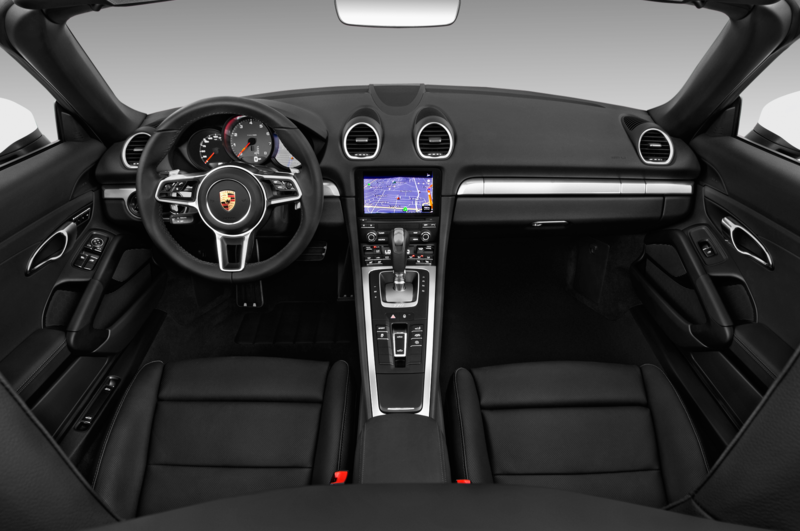 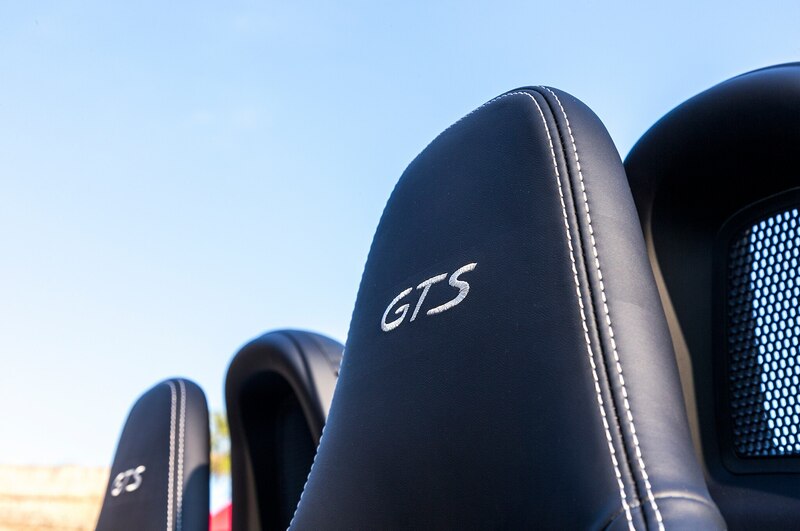 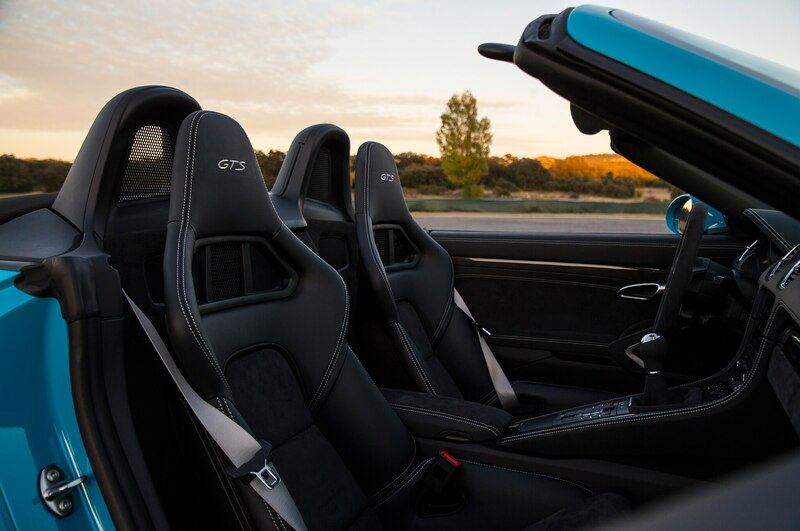 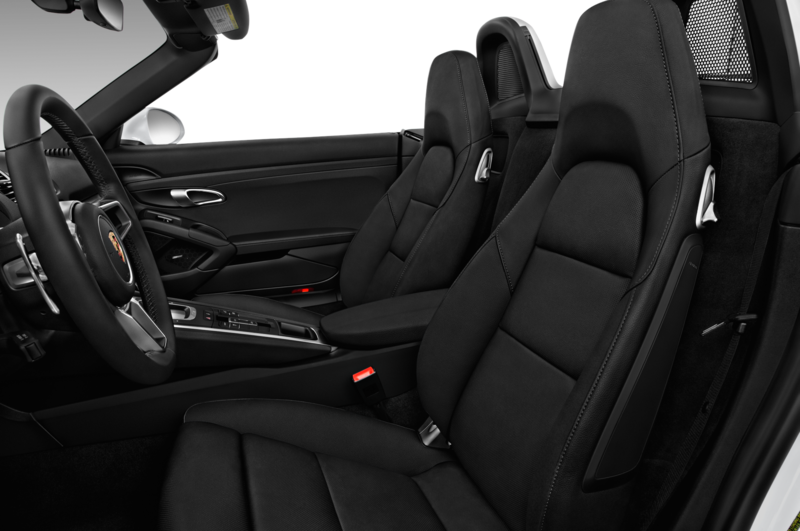 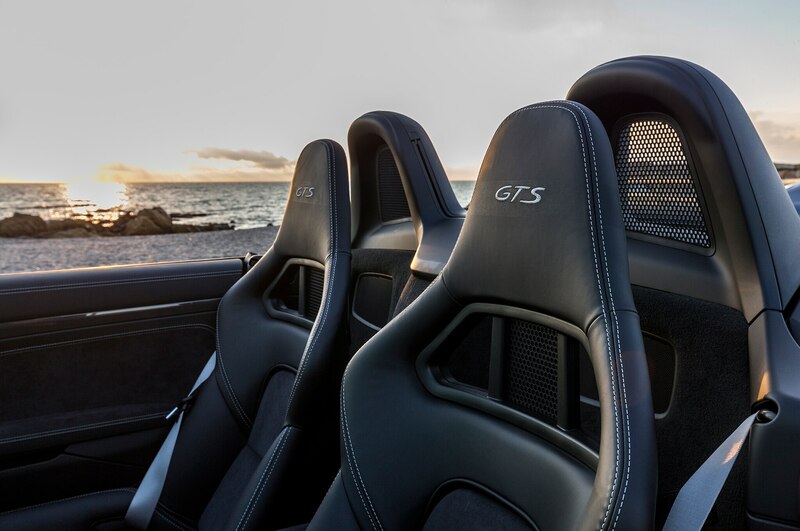 Inside, most surfaces are upholstered in Alcantara, with exclusive “GTS” script embroidered into the headrests. 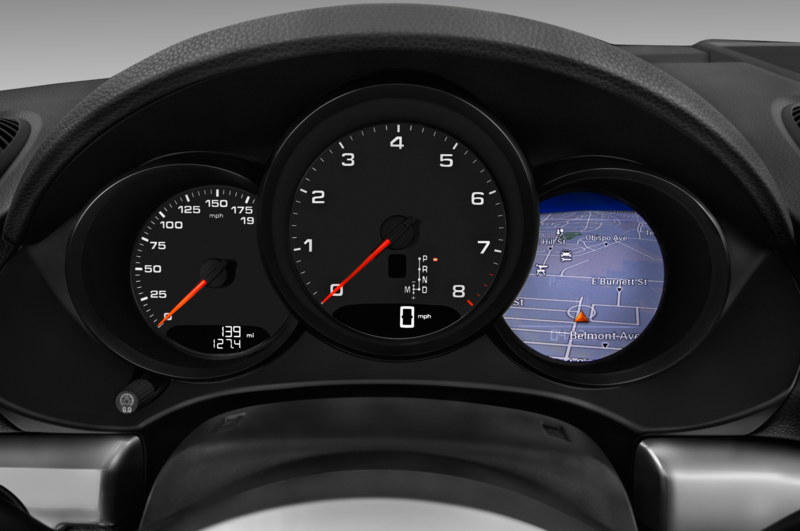 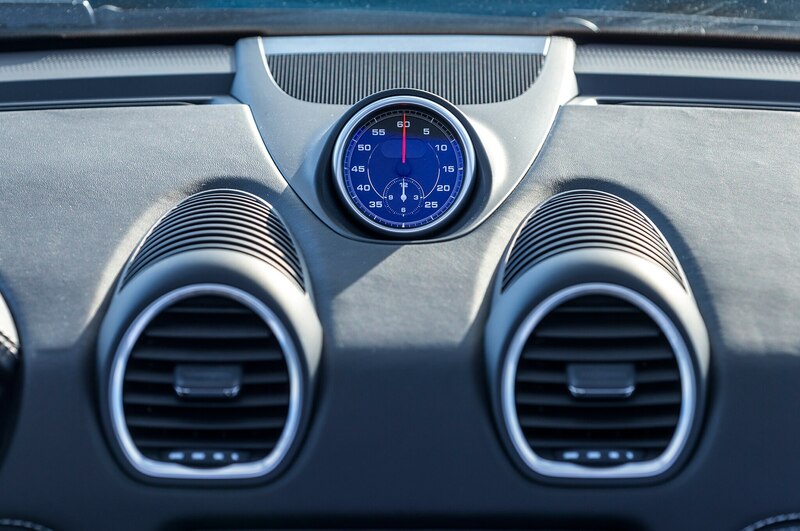 The essential Sport Chrono pack is standard as well, adding a perfectly designed sport steering wheel and stopwatch/clock combo unit on the top of the dash. 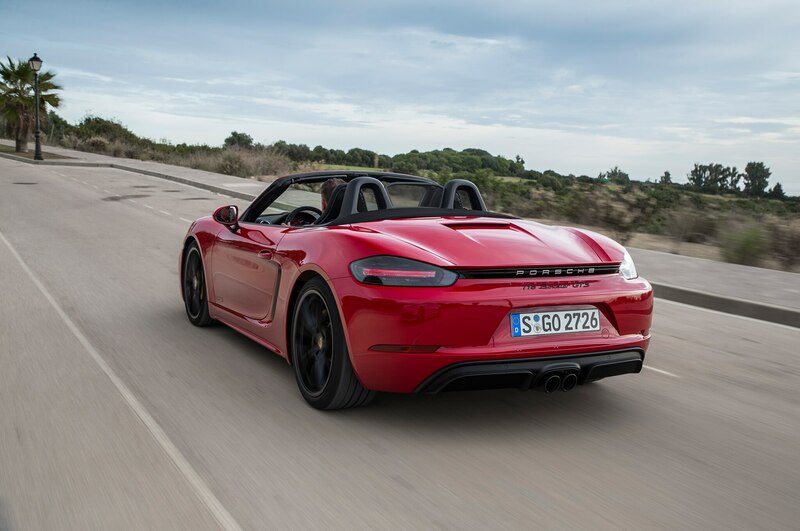 The wick is turned up on the same 2.5-liter turbocharged flat-four found in the “S,” boosting output by 15 hp to 365 hp. 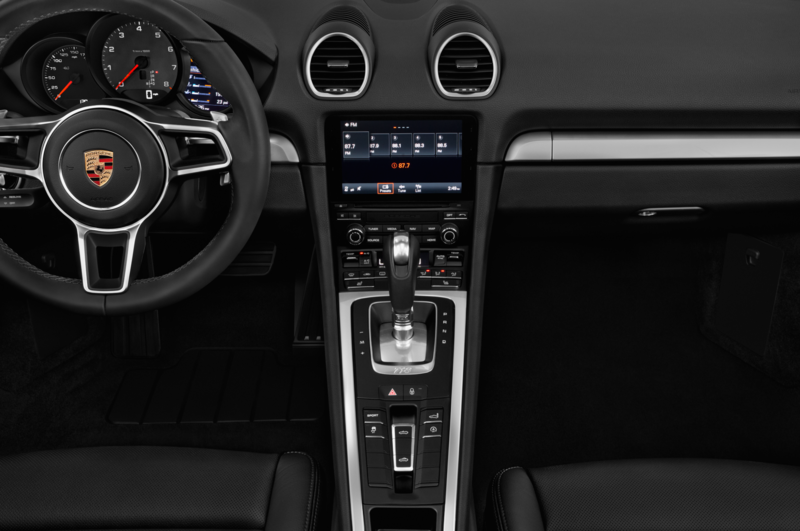 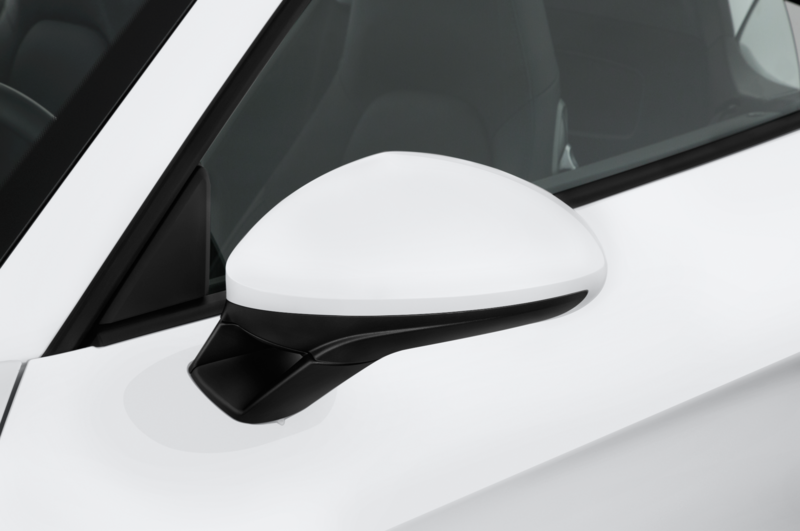 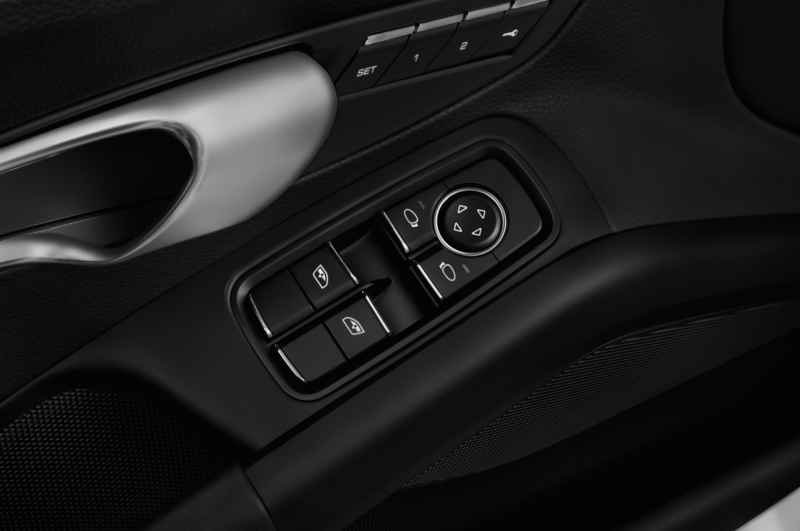 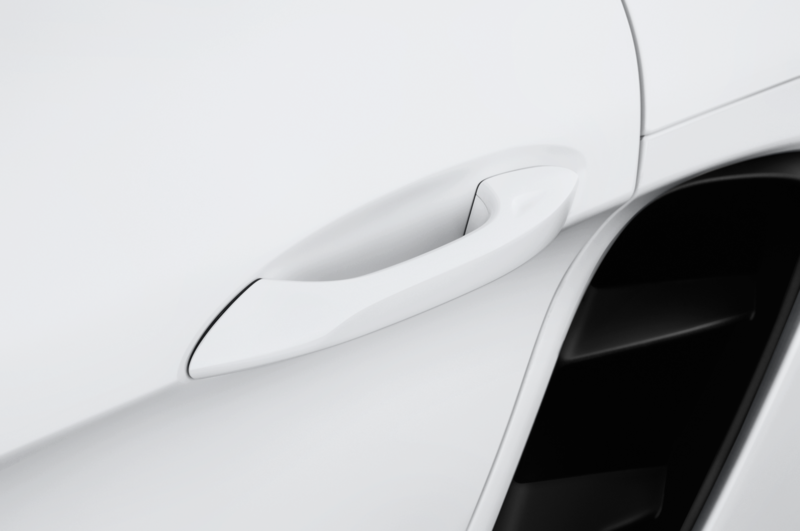 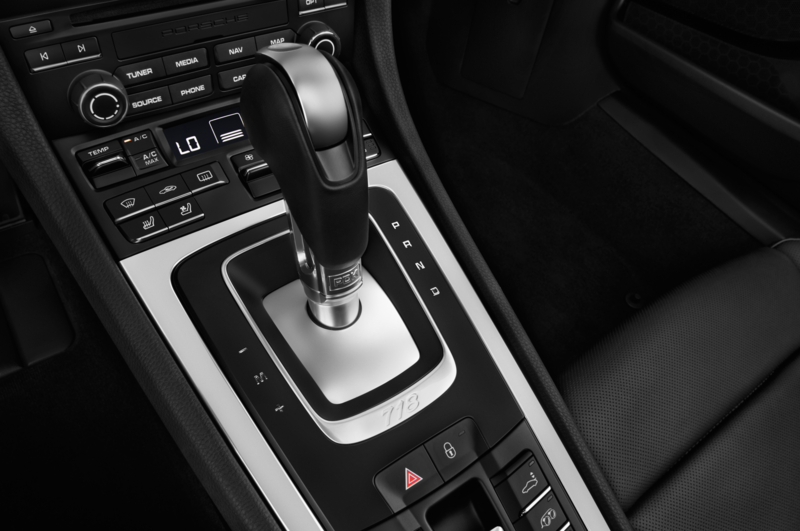 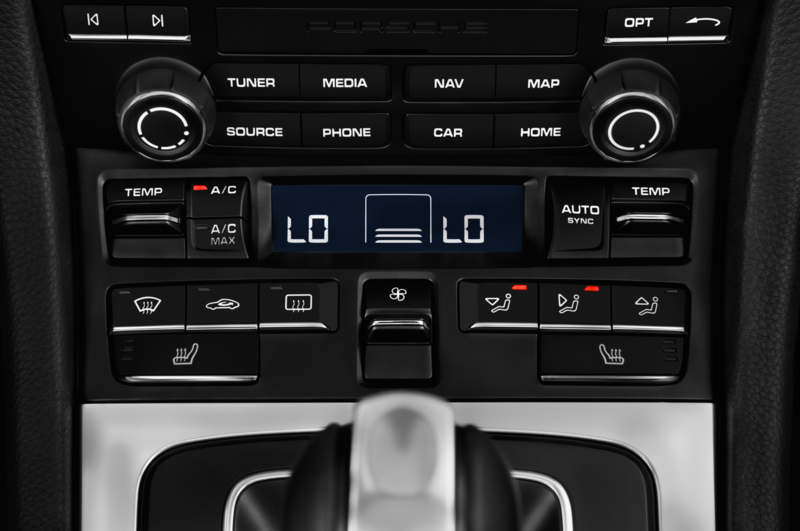 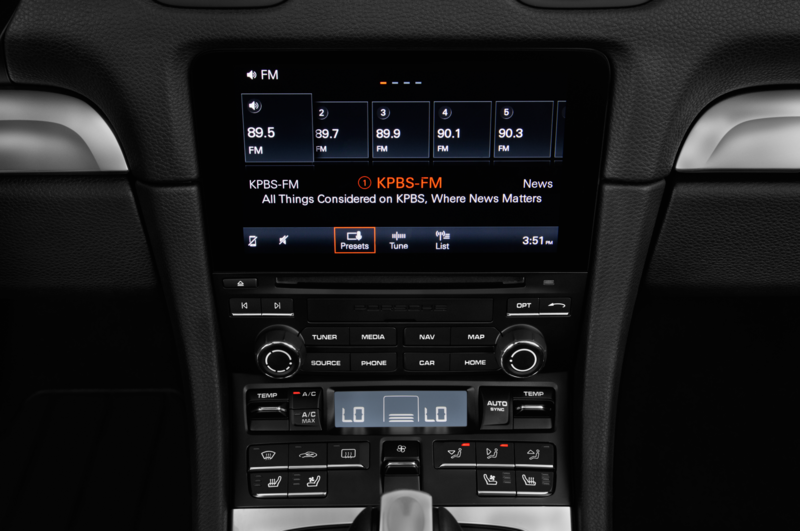 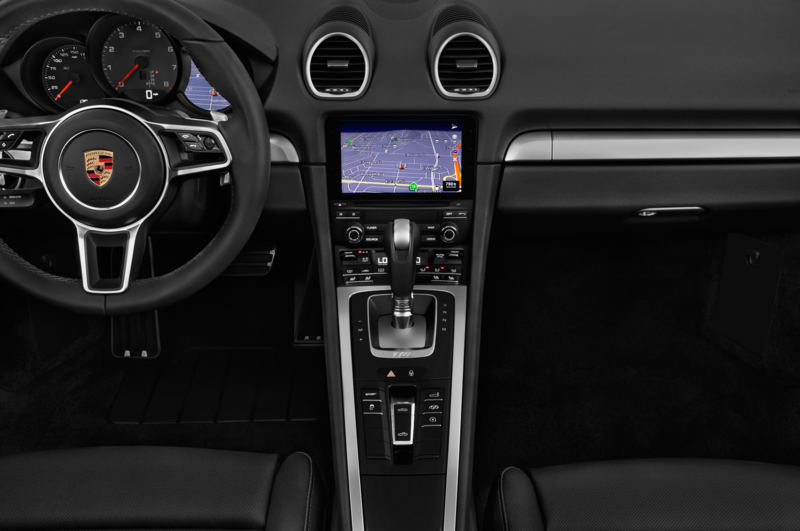 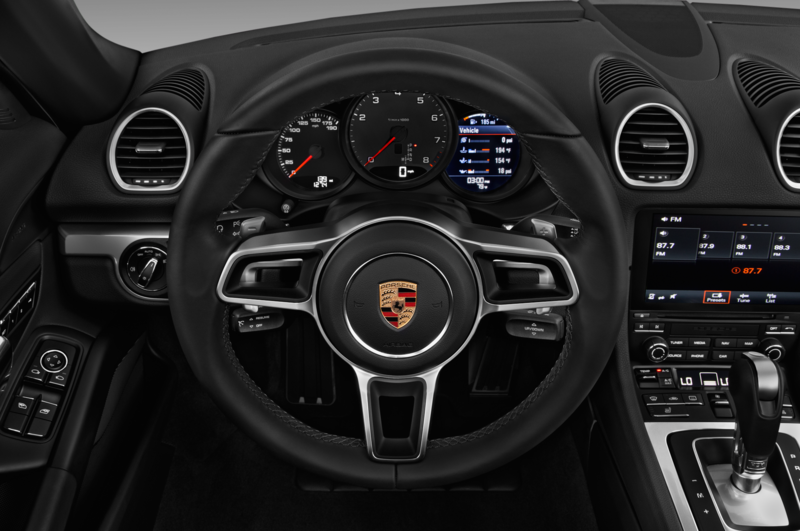 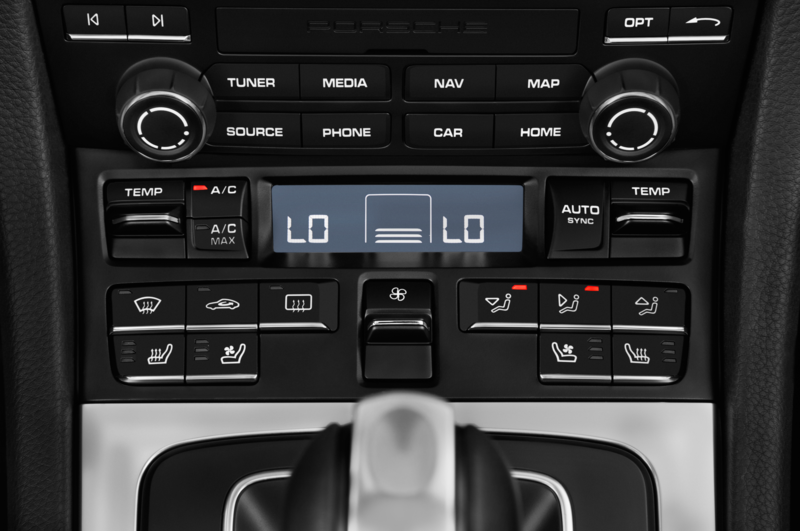 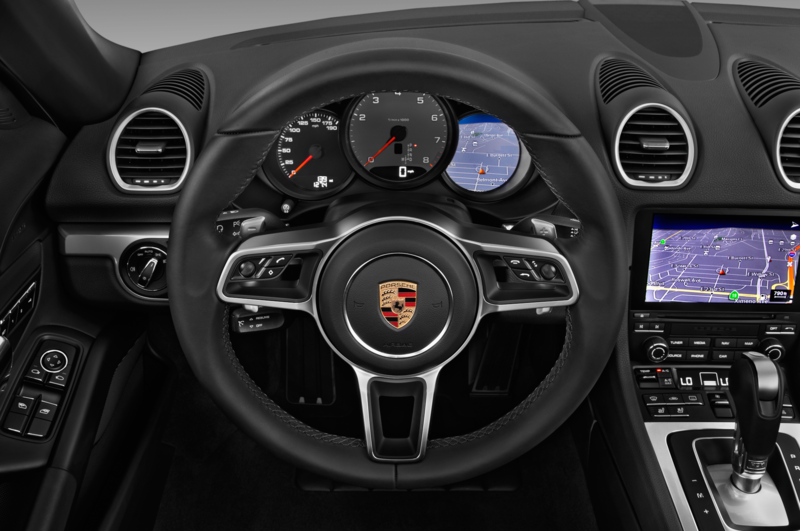 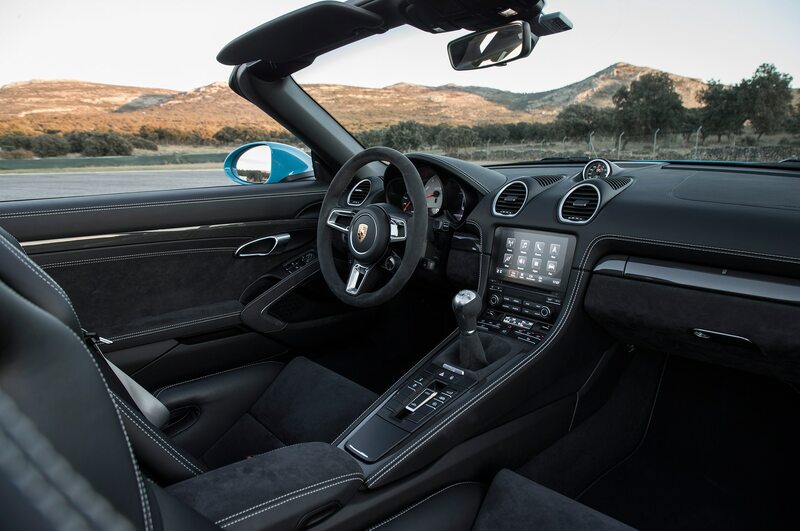 If you stick with the six-speed manual, torque remains at 309 lb-ft, but PDK drivers are rewarded with an extra eight lb-ft. Crucially, the engine speaks through a standard sport exhaust. 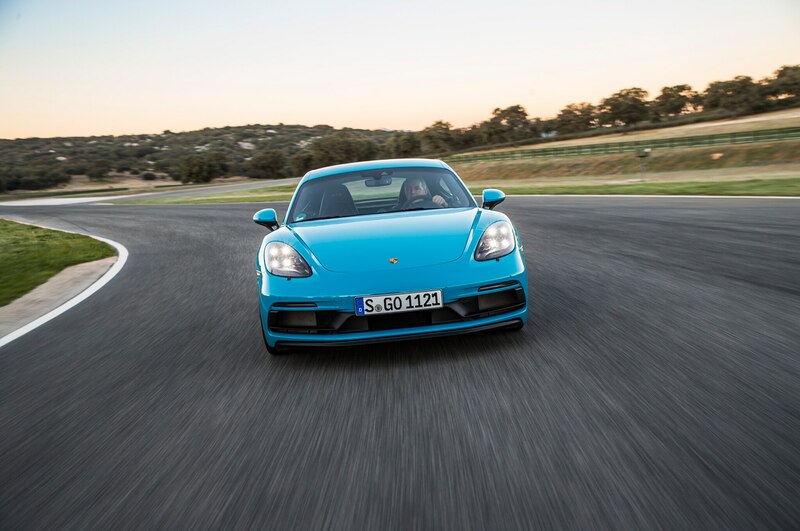 At speed, the four-banger sounds tuner-chic, with aggressive snorting and crackling on the overrun. 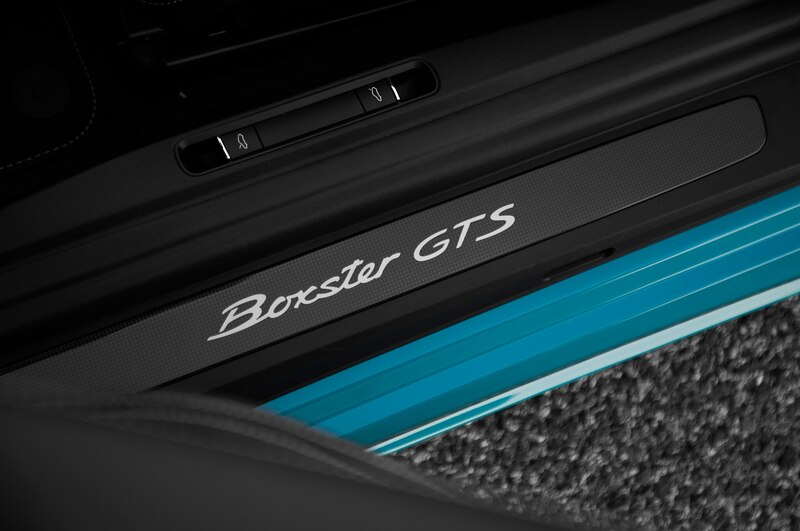 There’s intake rush, turbo spool, and baritone boxer rumble. 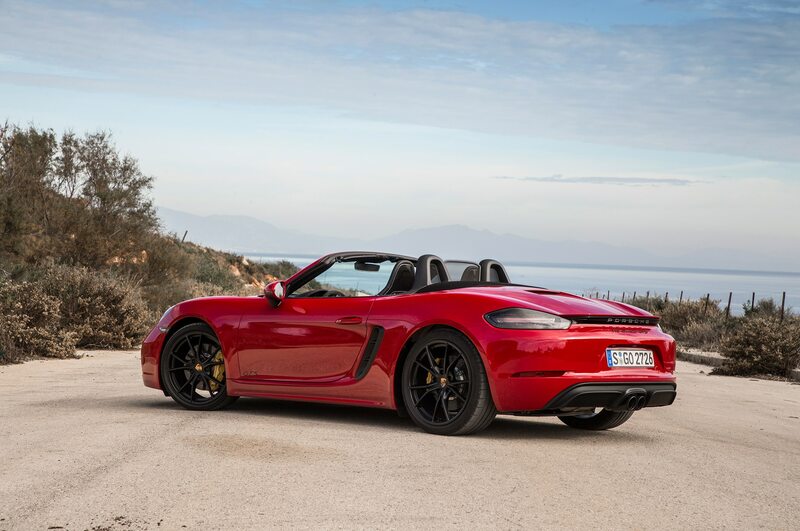 No, it doesn’t possess the same chainsaw rasp as the last-gen six-cylinder GTS, but the pancake-four’s bark is hardly a whisper. 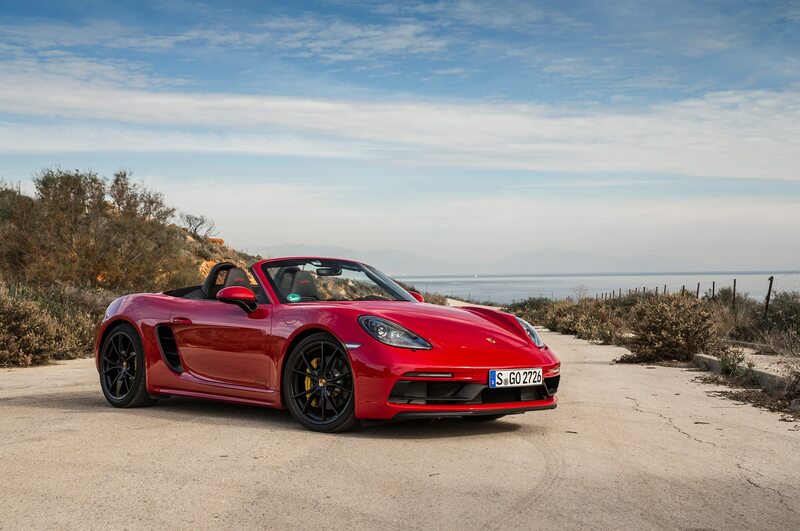 Here’s my hypothesis: If the Boxster/Cayman duo packed flat-four power from the get-go way back in 1997, this wouldn’t be a conversation. 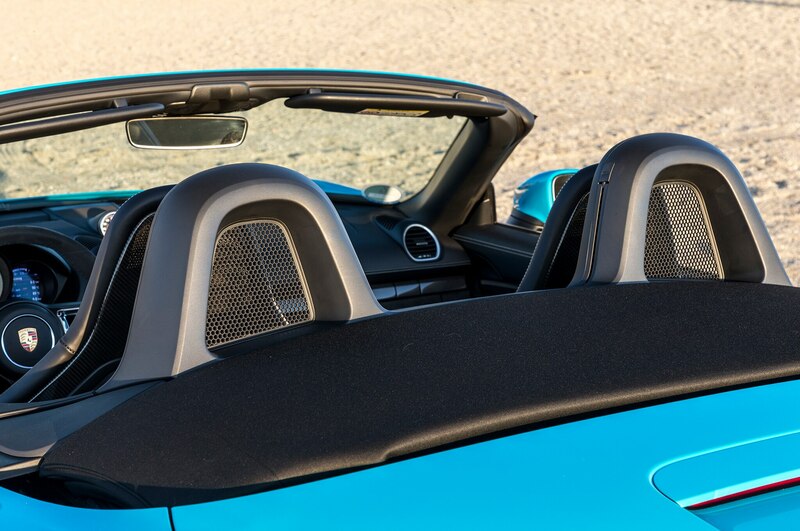 What’s more, you’d probably praise the new iteration of four-bangers for their upgraded vocal chords. 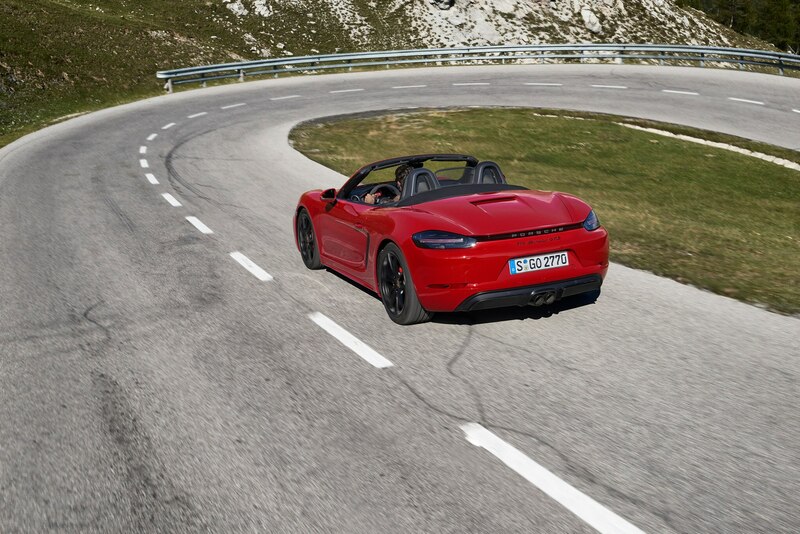 They didn’t, so here we are, with some enthusiasts still moaning about a car that’s faster, more capable, and better to drive than ever before just because the sound is now perceived as “good” rather than “excellent.” Oh well—more for those who don’t mind a bit of whoosh in their commute. 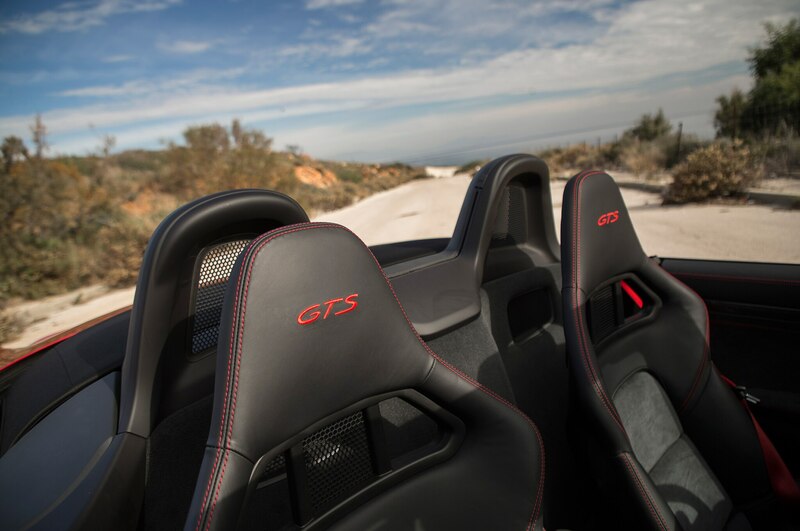 Out on the wooded and sometimes mountainous byways of NorCal, both iterations of the GTS danced through any scenario tossed their way. 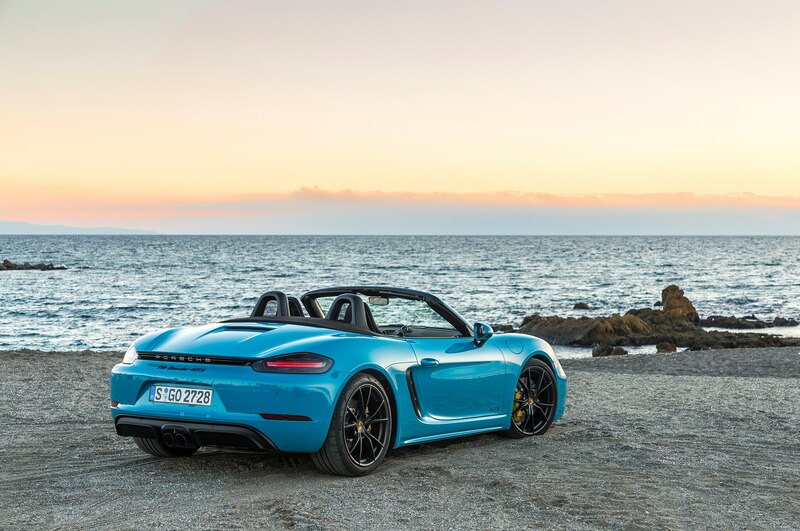 It’s incredible how far the baby Porsche has come. 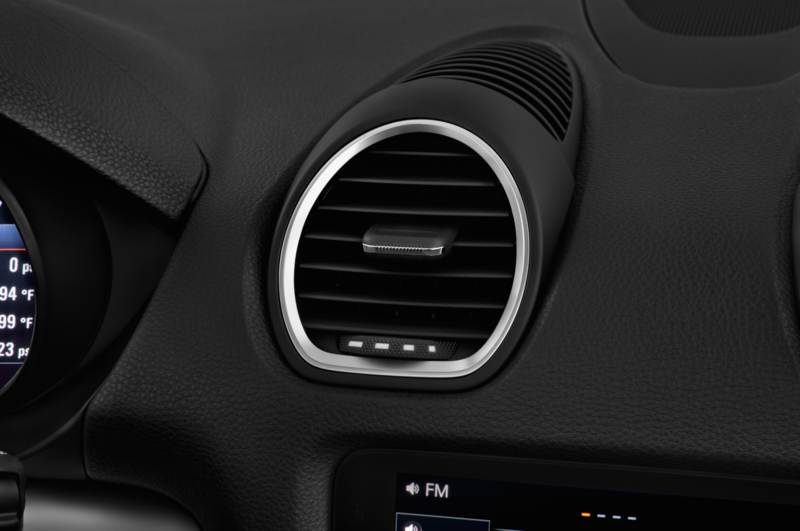 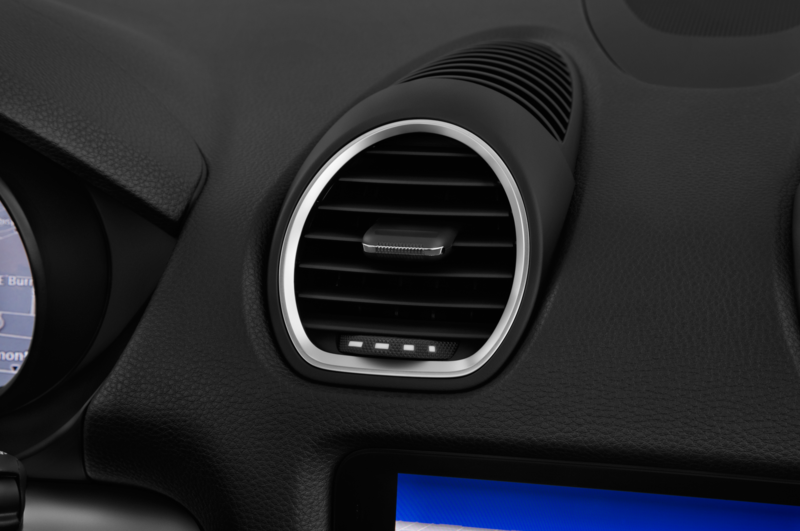 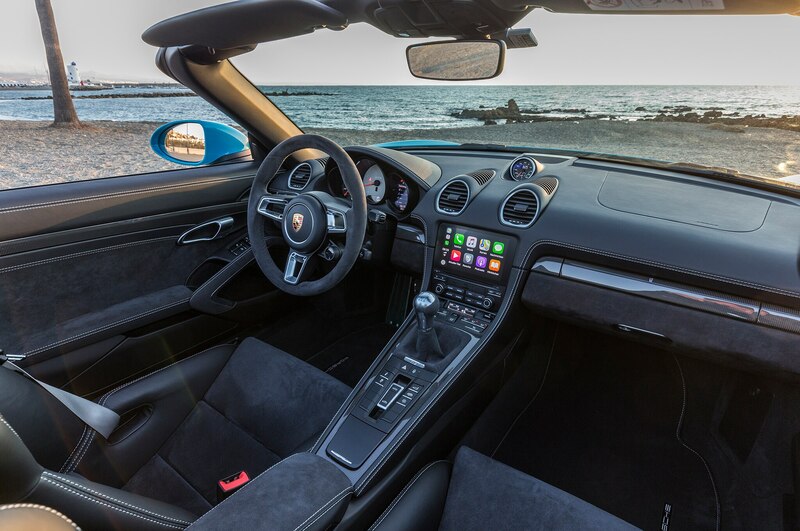 From the cockpit to the chassis, there isn’t a wisp of entry-level schmutz anywhere. 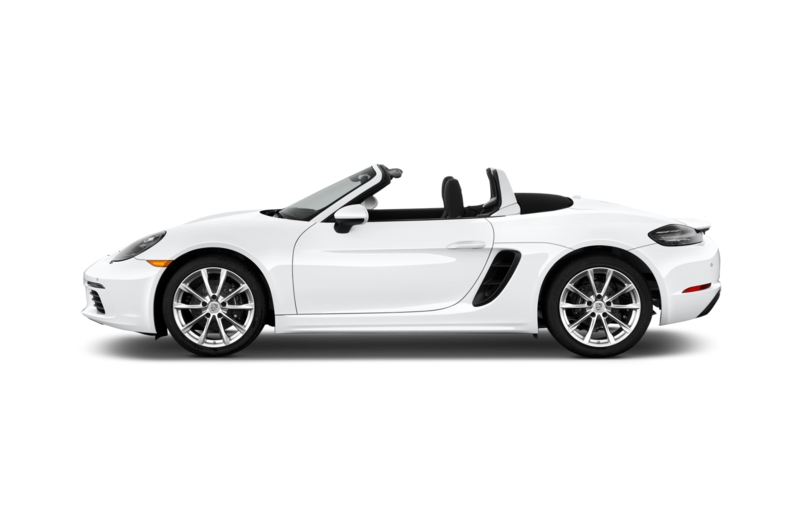 Most of my time was spent top-down in a PDK-equipped Boxster GTS, crisping most of my extremities in the unsetting Cali sunshine. 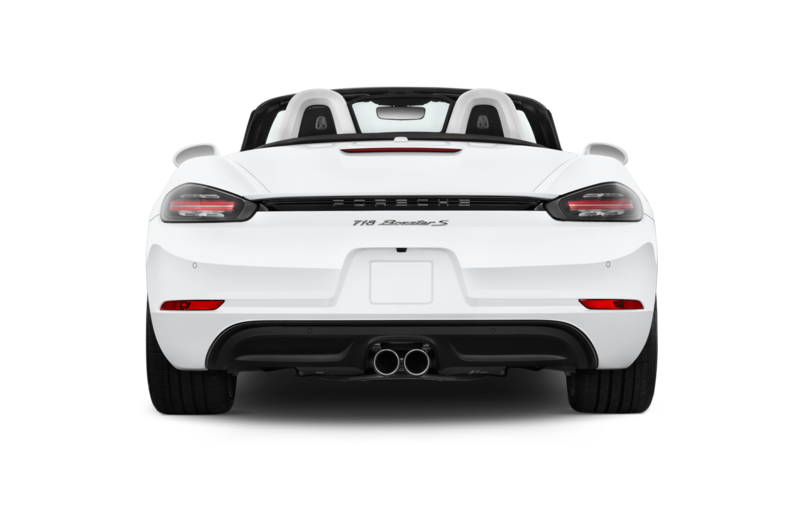 Even when crammed with the optional PASM sport, the Boxster was affable as a Miata when on a trafficked two-lane. With dual-mode exhaust, it’s quiet enough, and it makes all 317 lb-ft at 1,900 rpm, so the transmission shifts low and keeps the racket down. 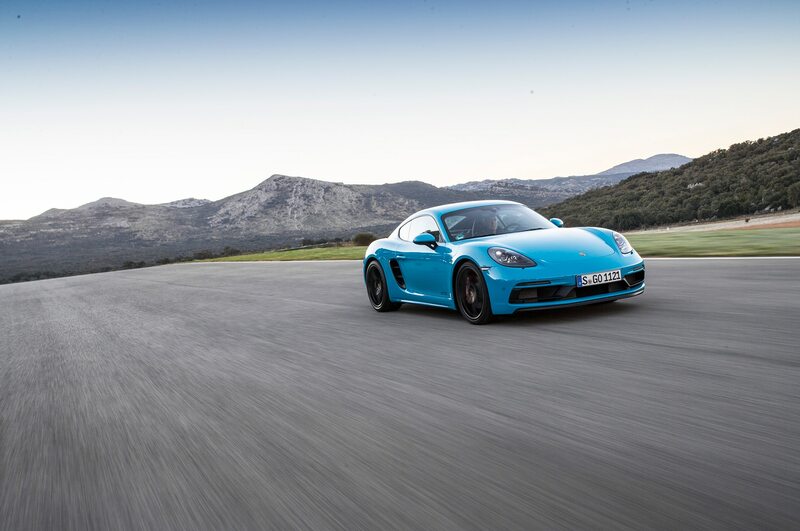 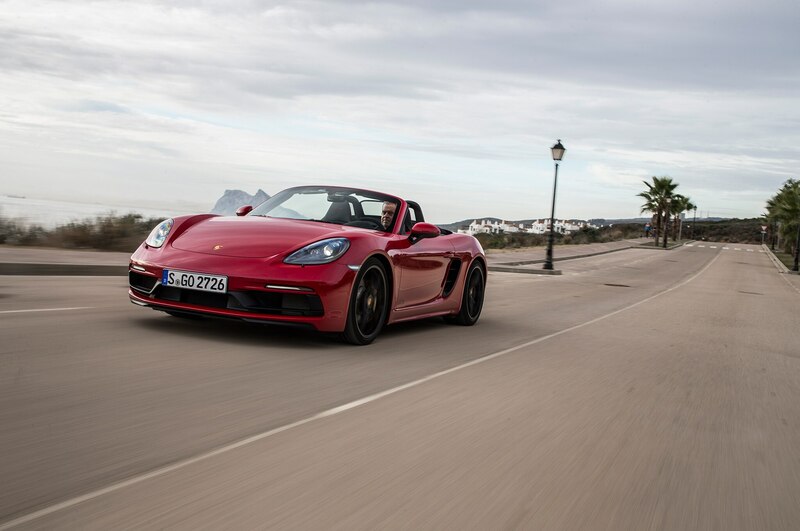 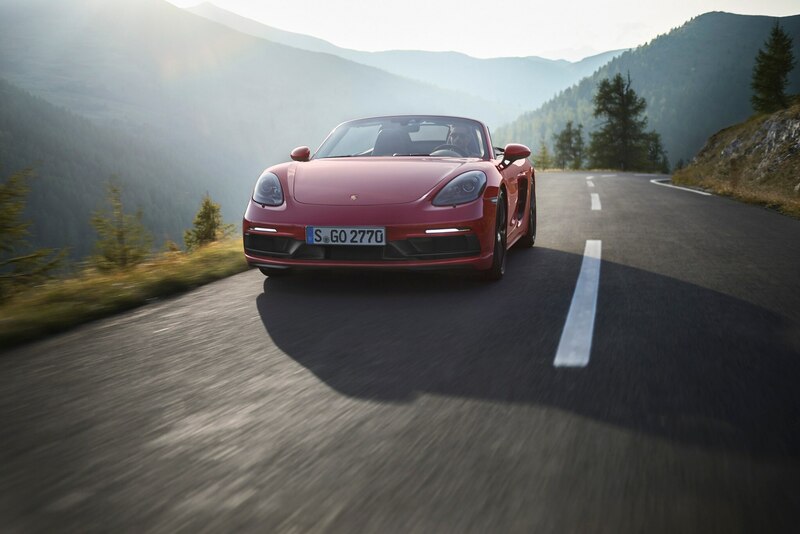 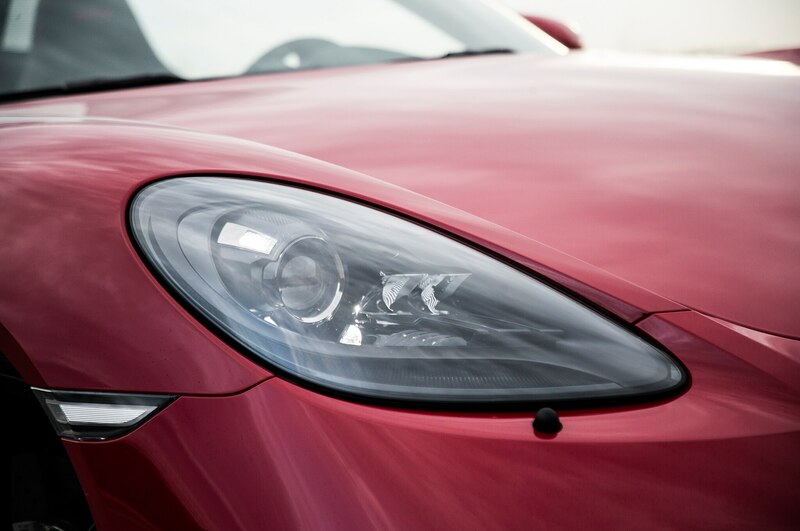 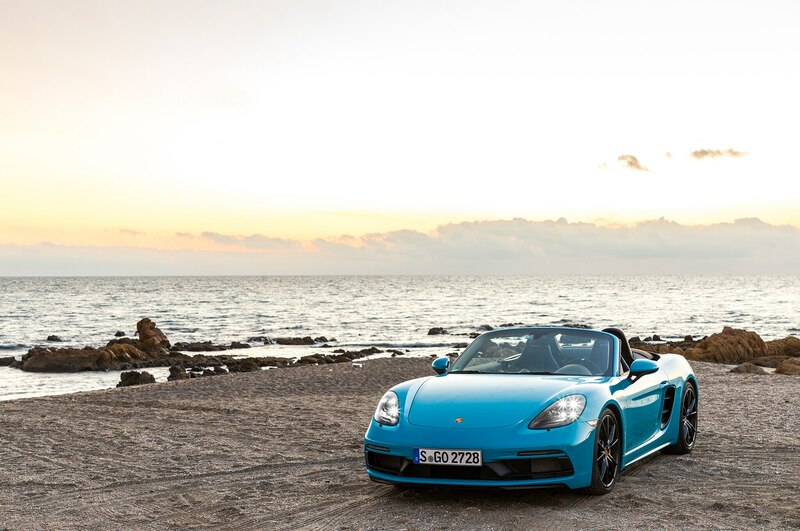 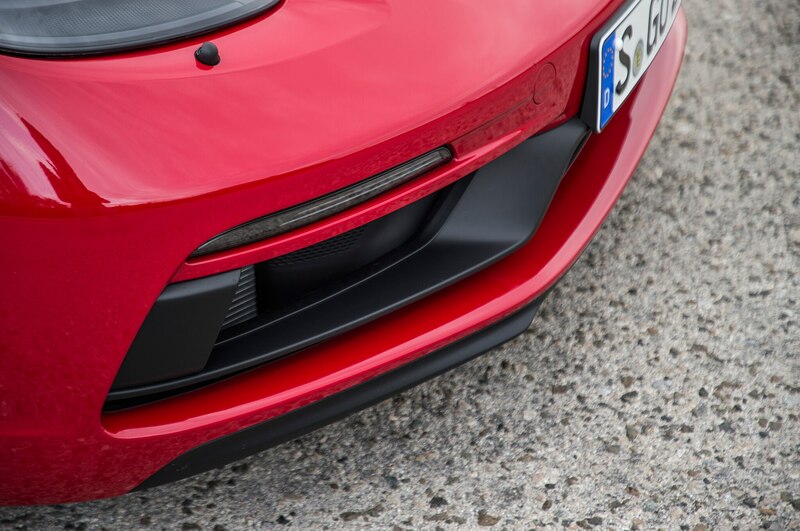 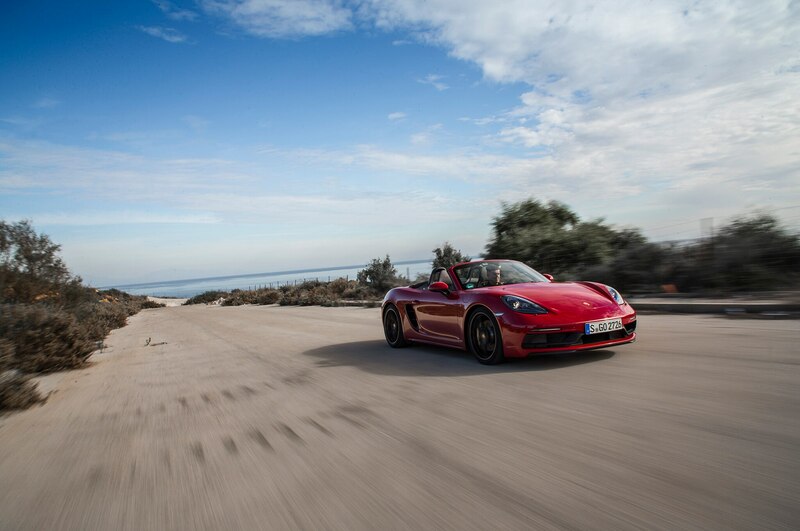 Dynamically, the Boxster is excellent through some of the more treacherously tight roads. 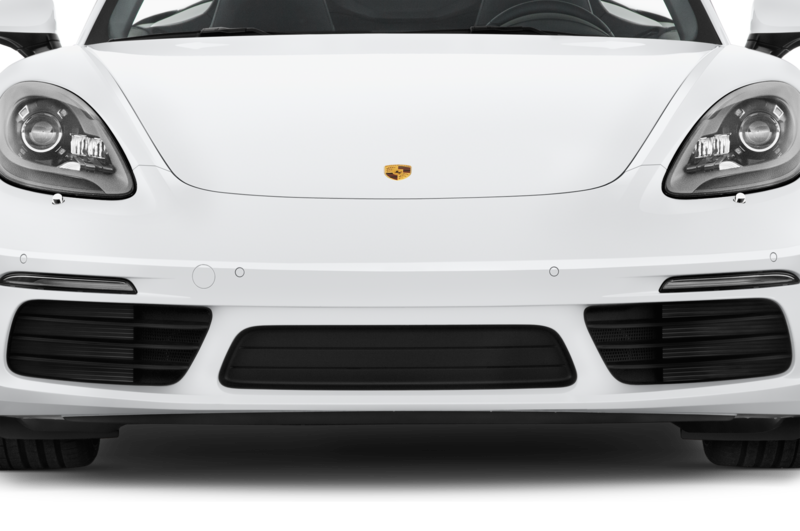 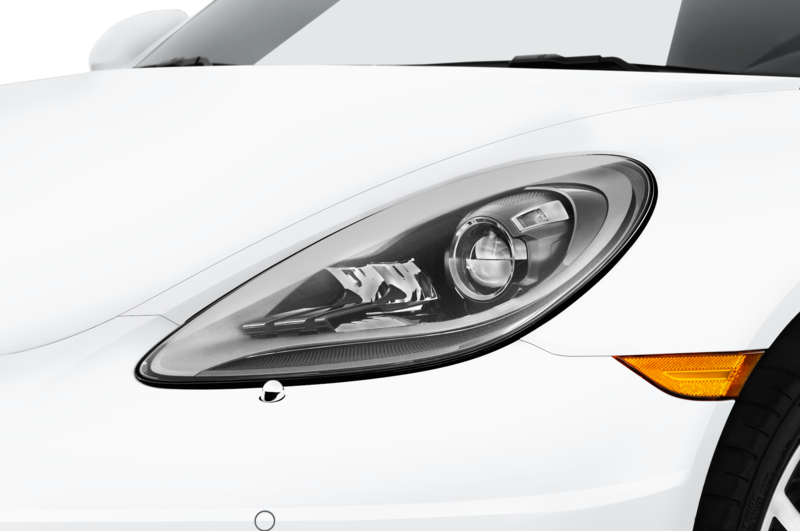 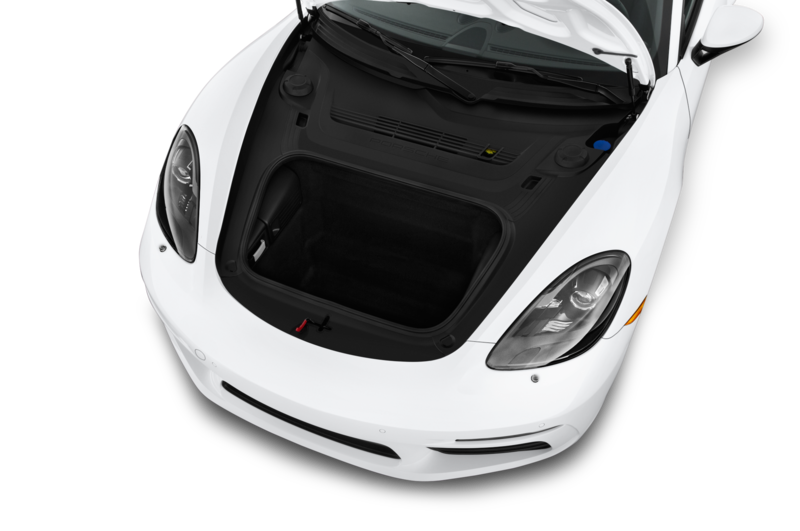 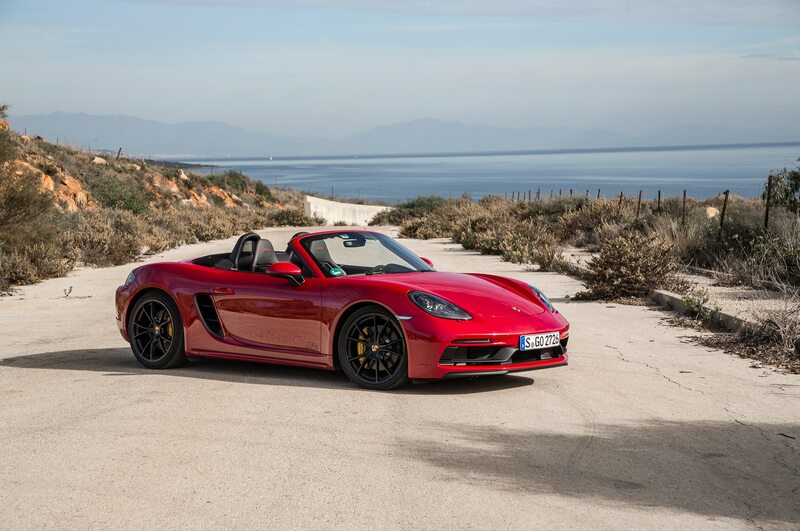 The Boxster was flat and neutral, with light (but direct) steering. 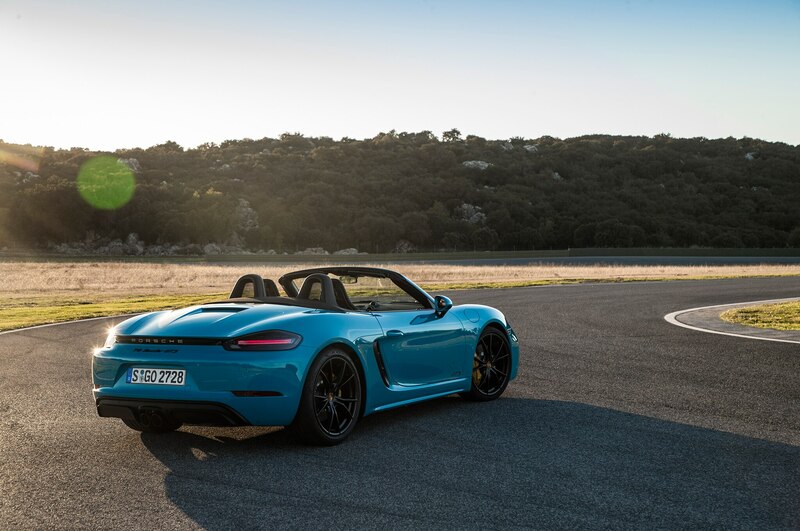 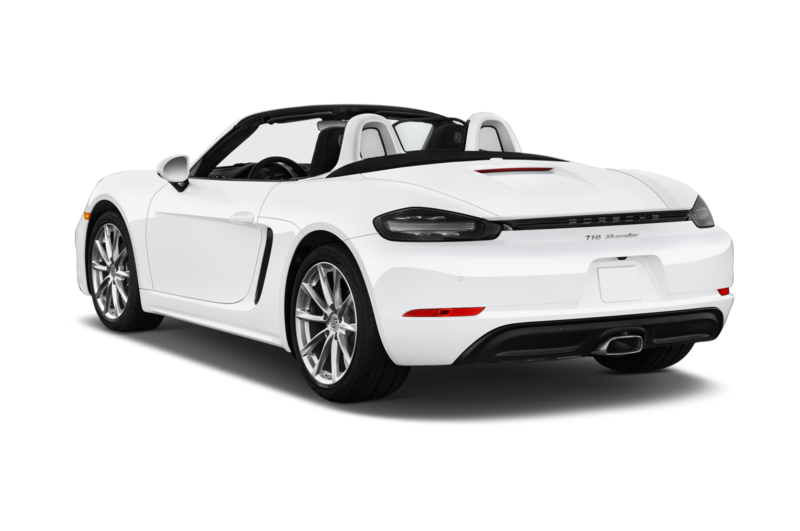 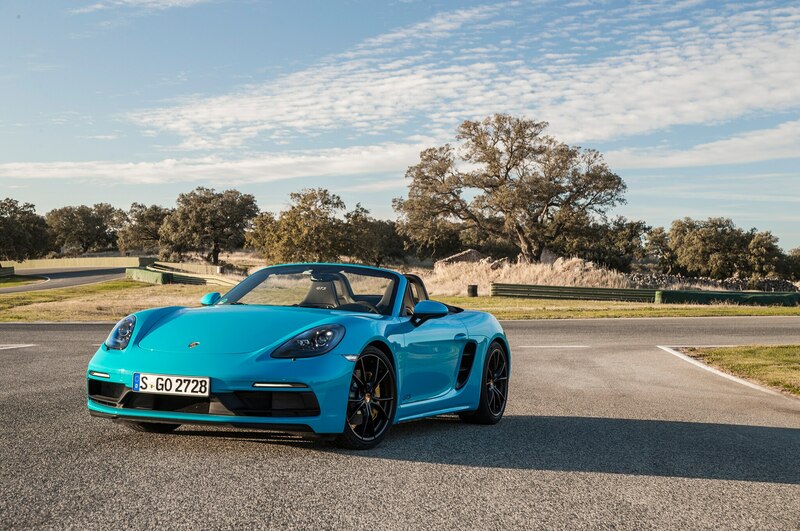 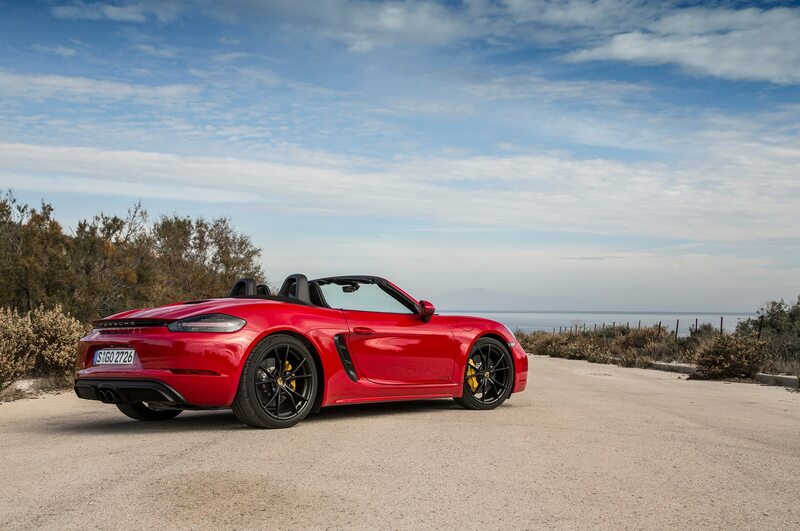 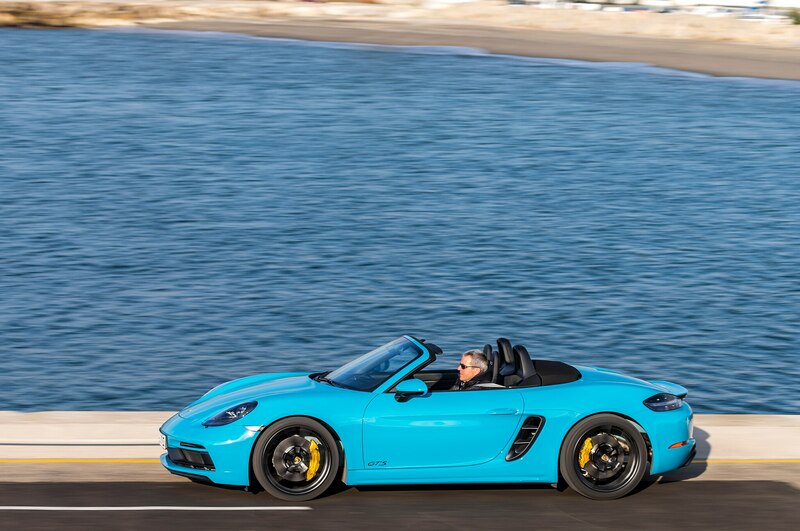 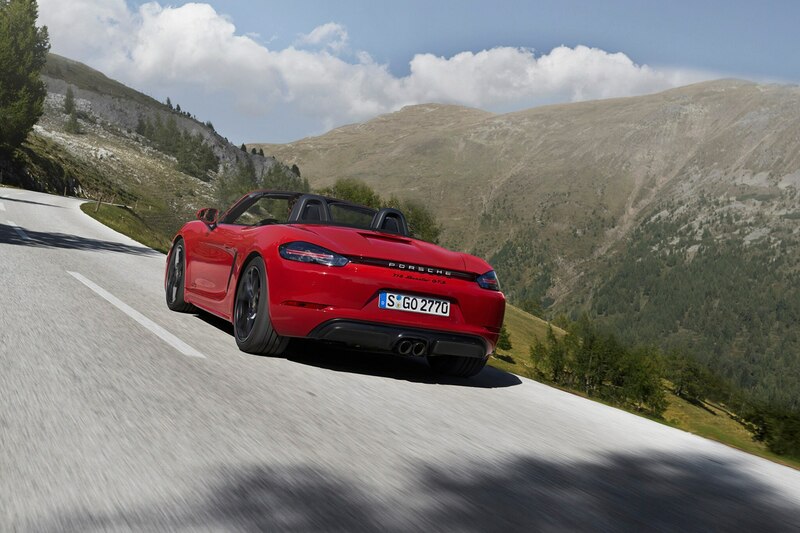 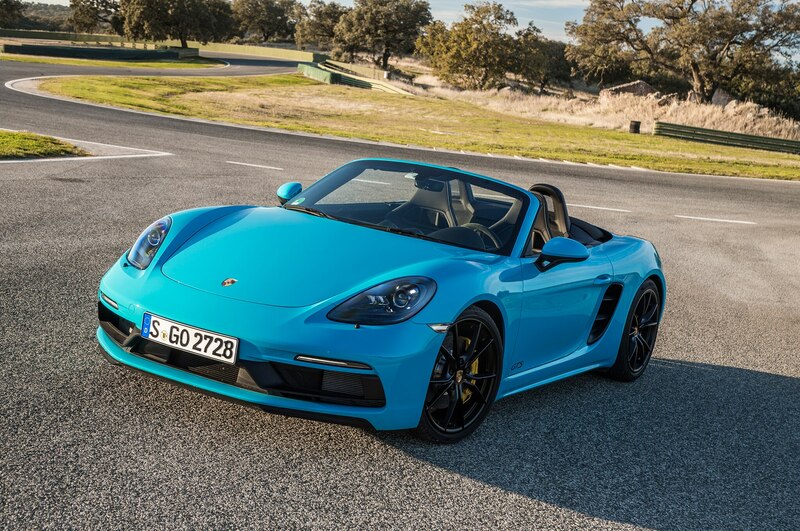 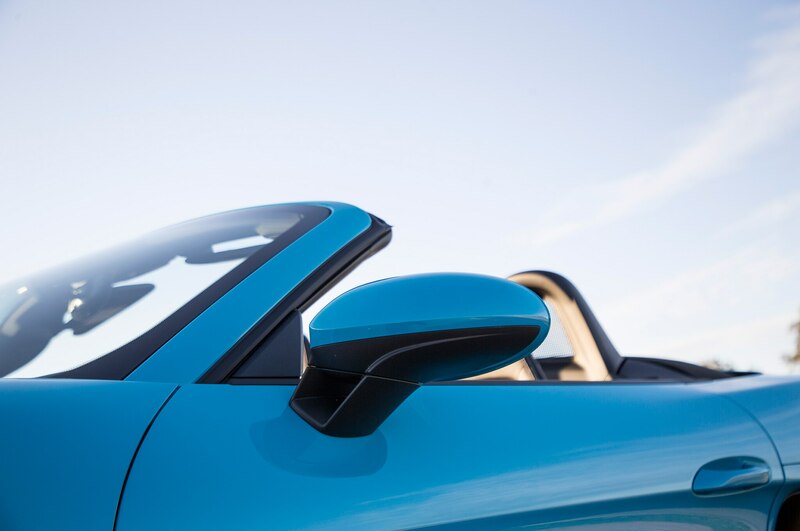 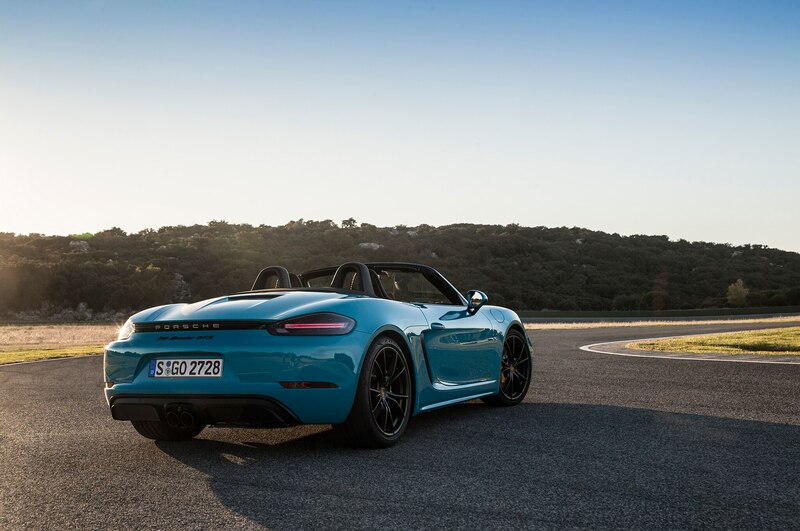 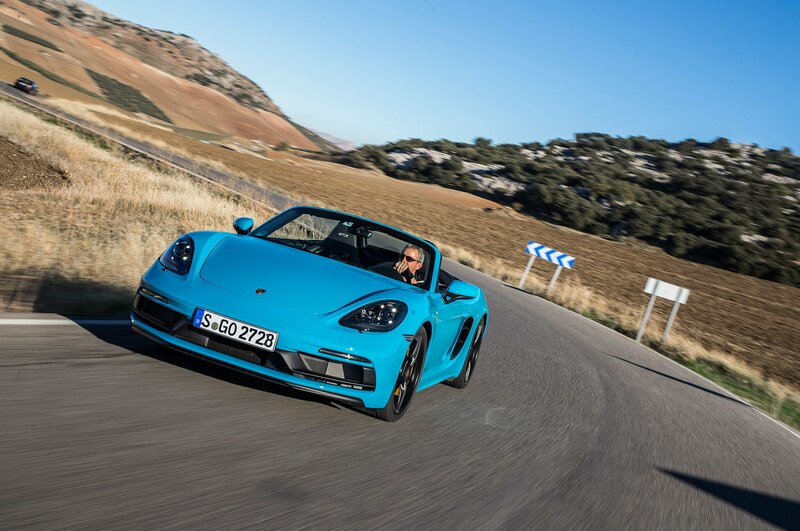 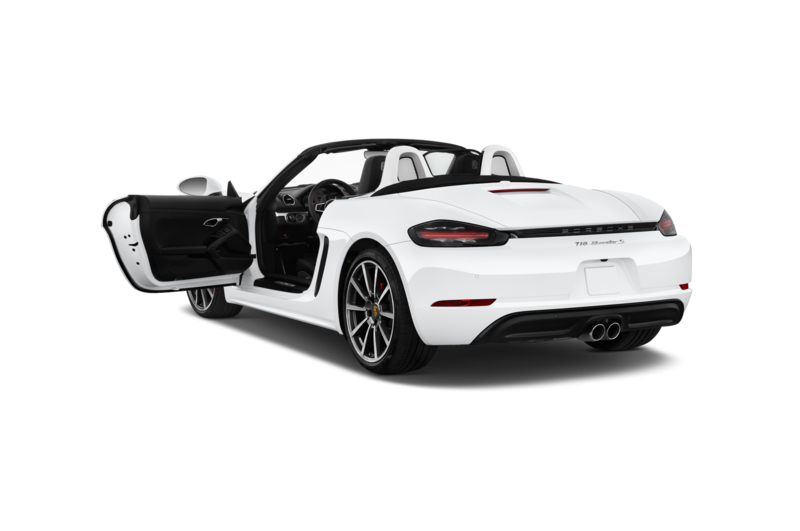 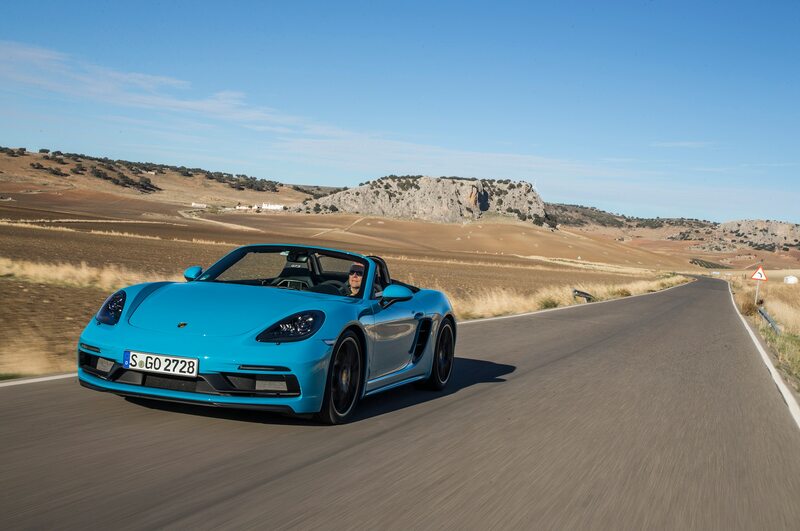 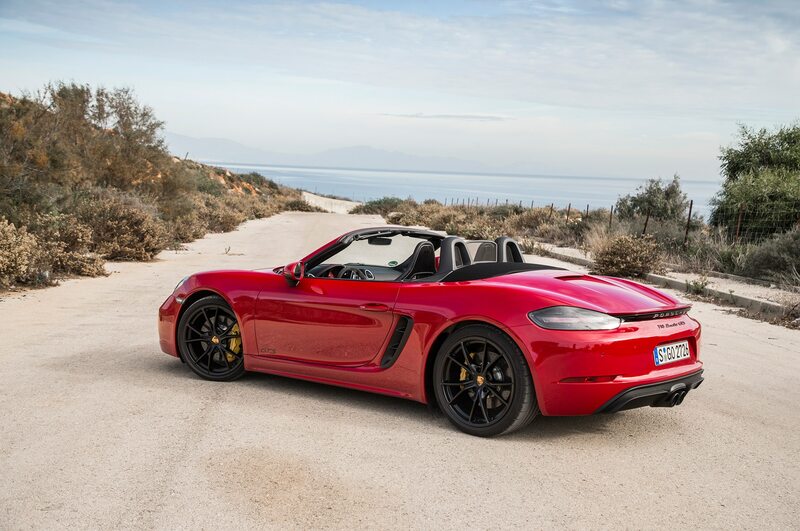 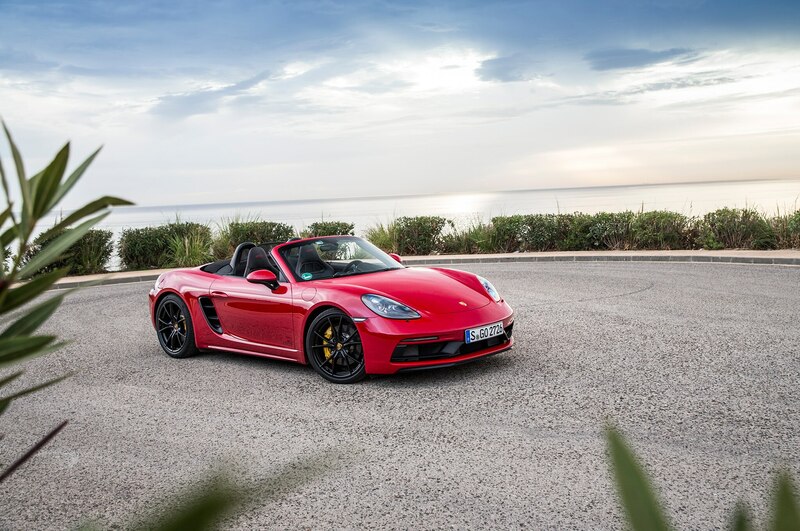 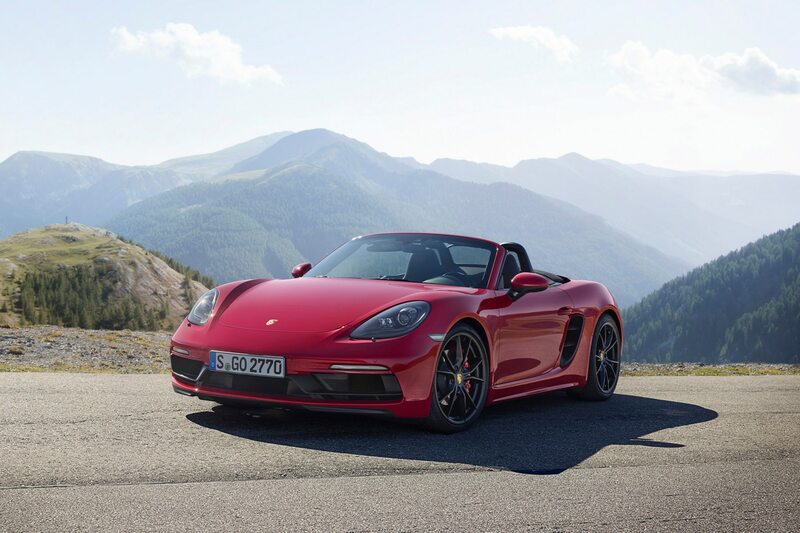 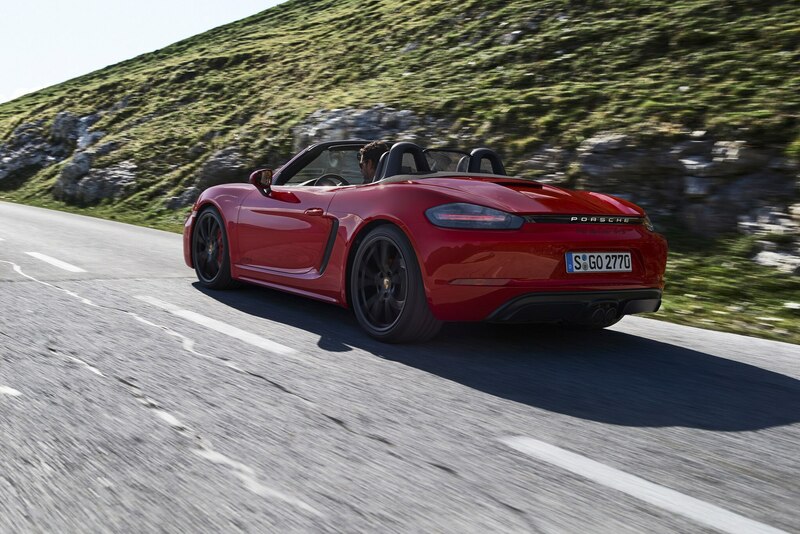 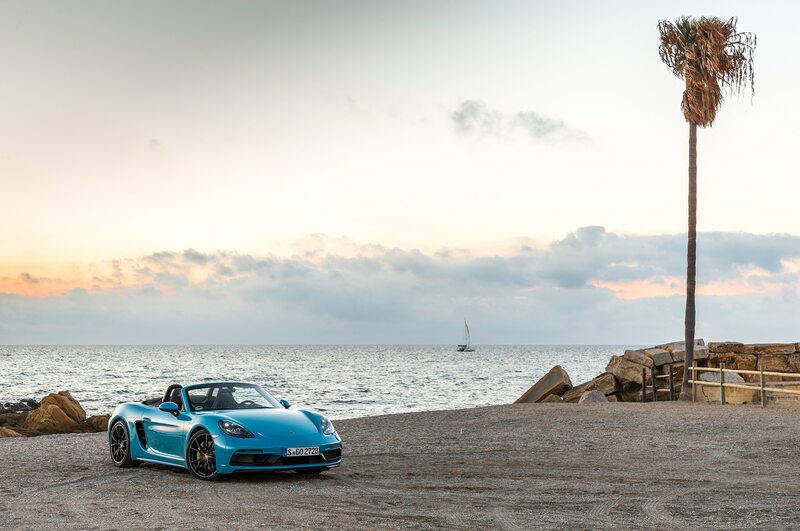 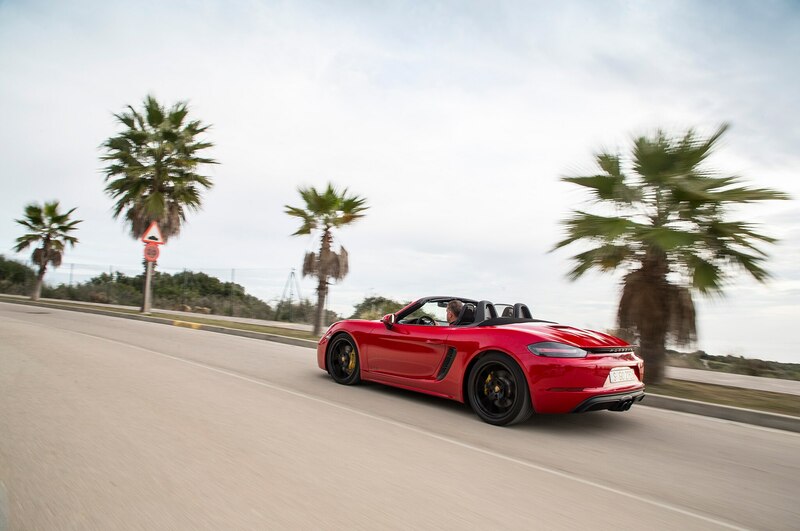 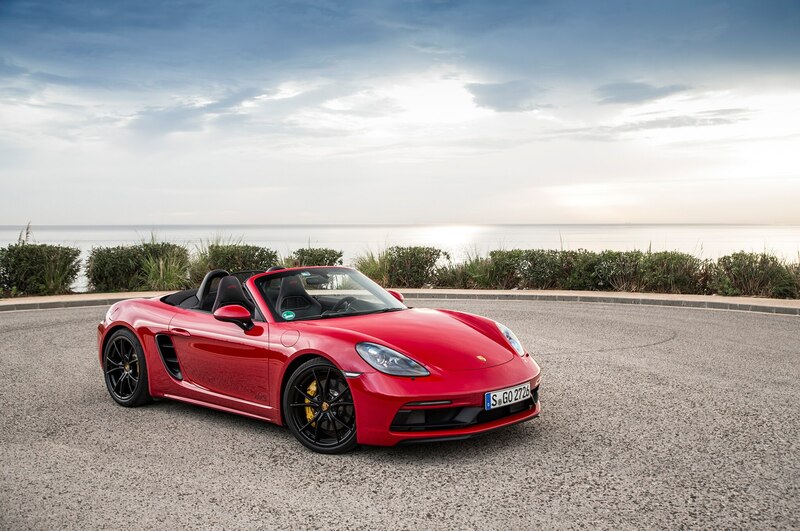 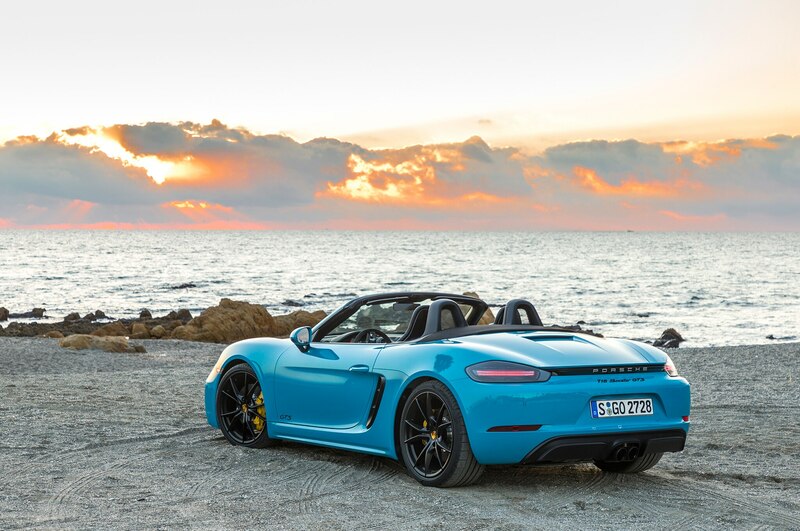 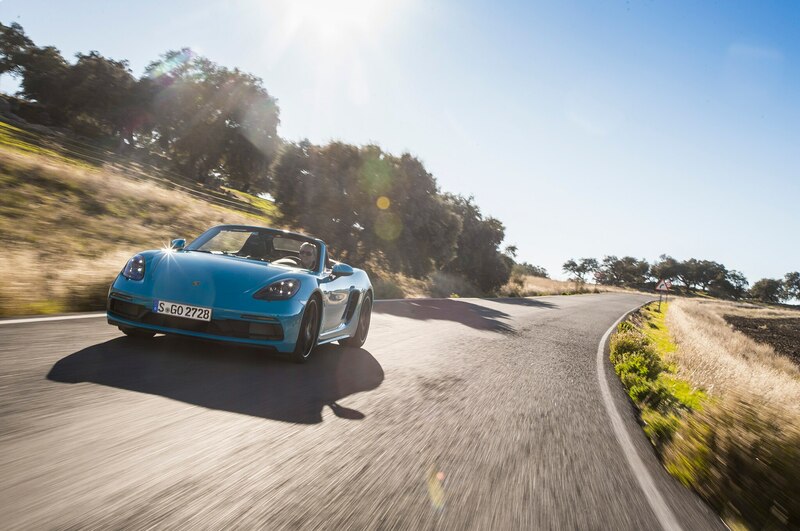 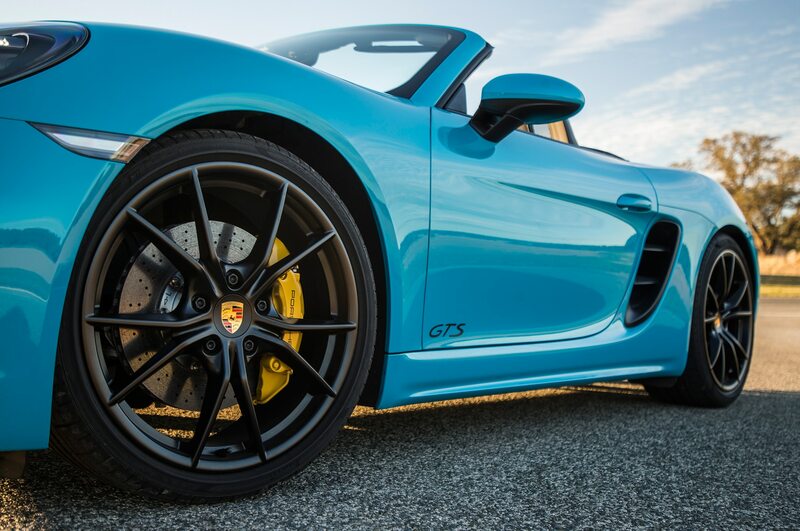 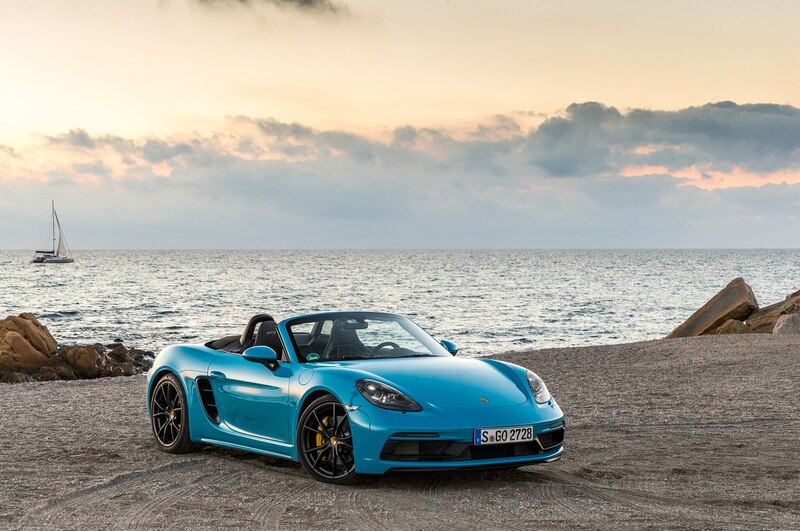 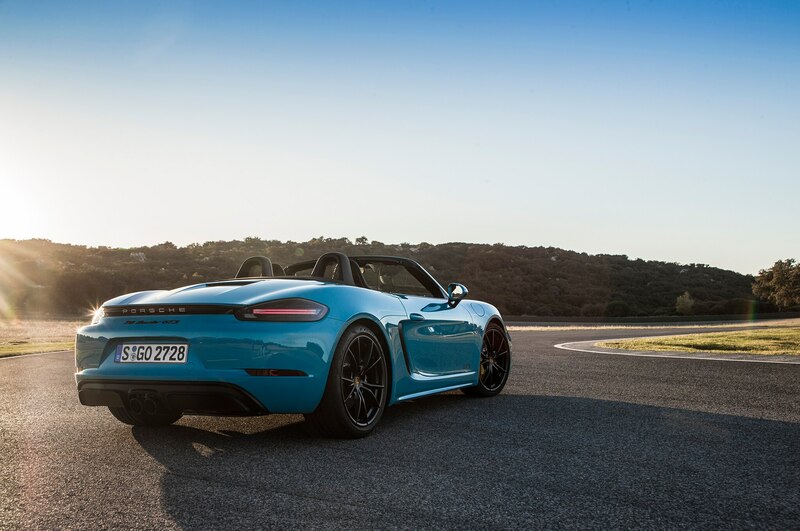 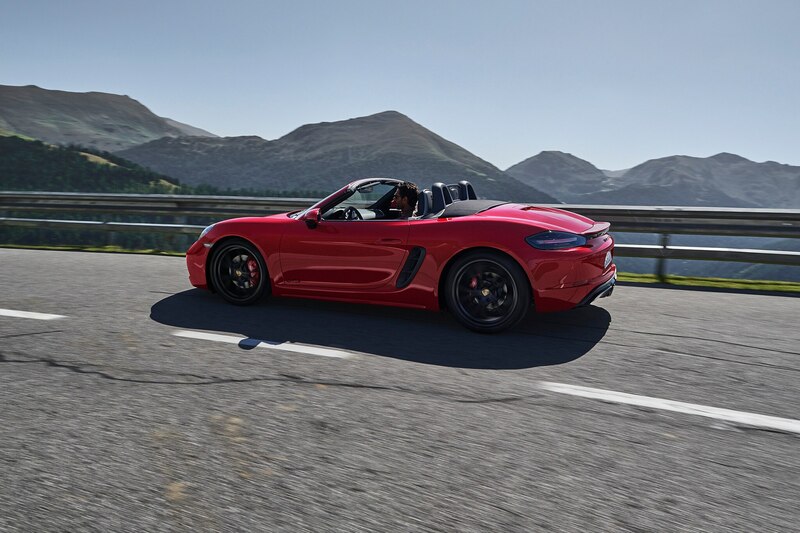 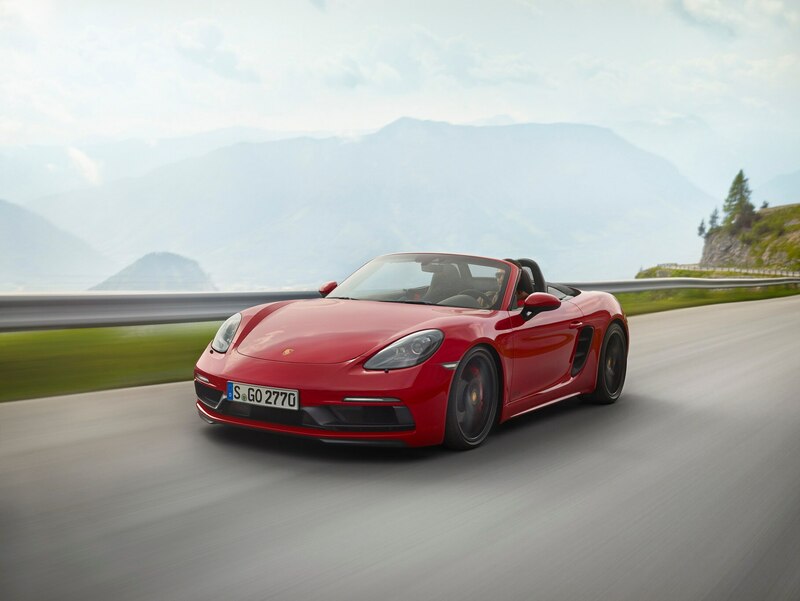 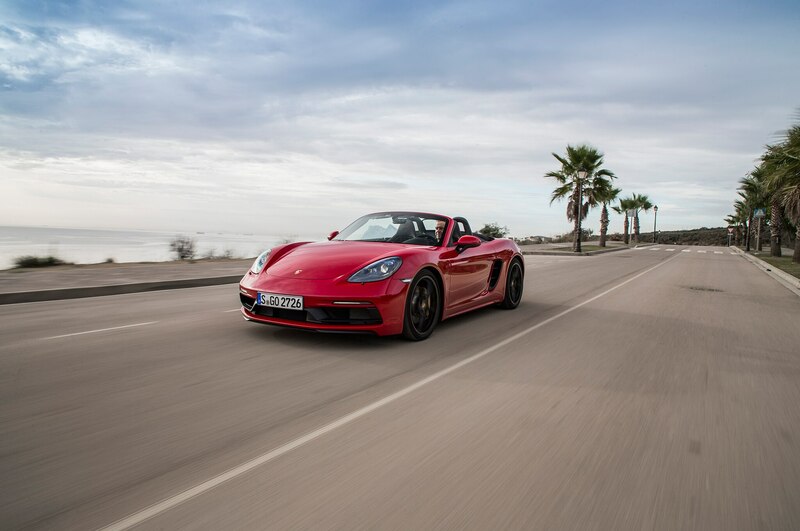 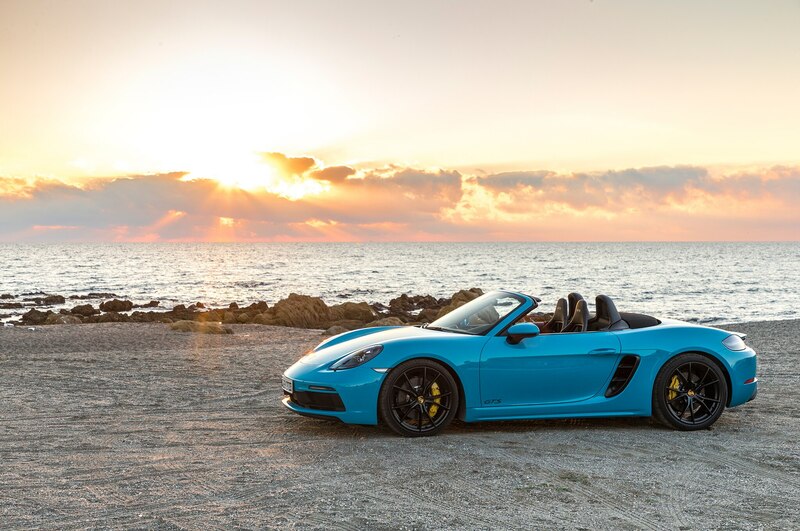 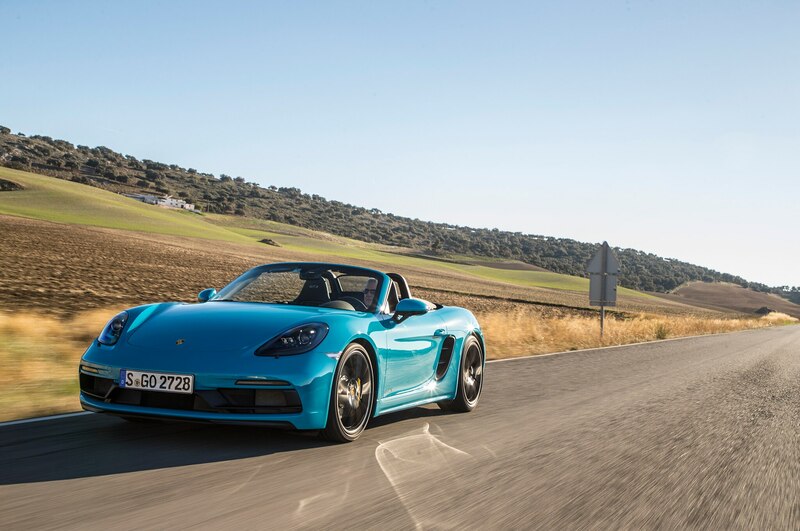 The drop-top 718 pops and hisses its way through decreasing radius turns with tremendous grip, thanks in part to the standard 235/35 front and 265/35 rear Michelin Pilot Sport 4S tires. 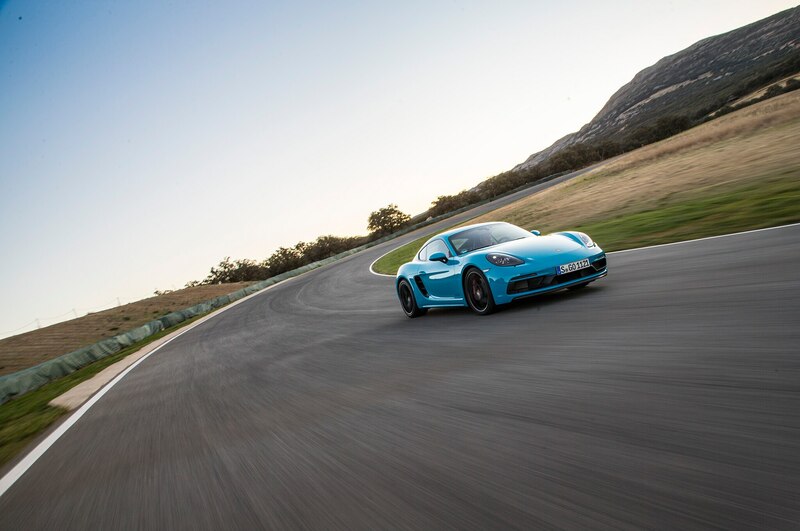 A little extra power means a little extra speed. 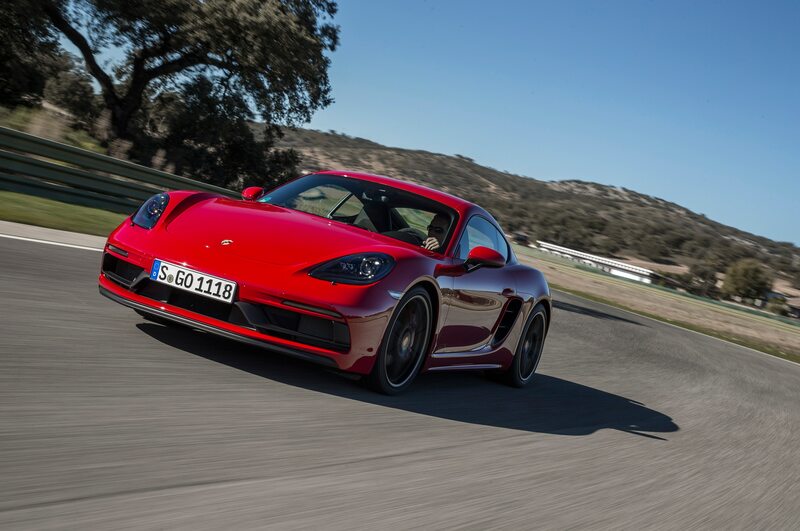 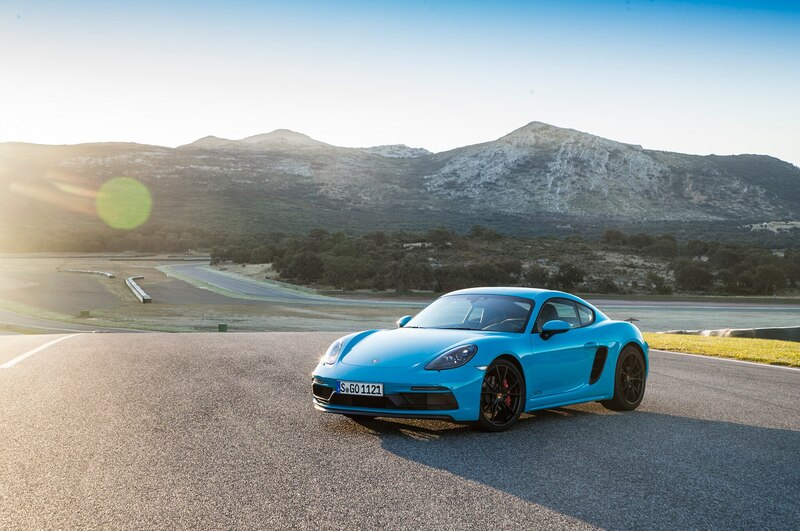 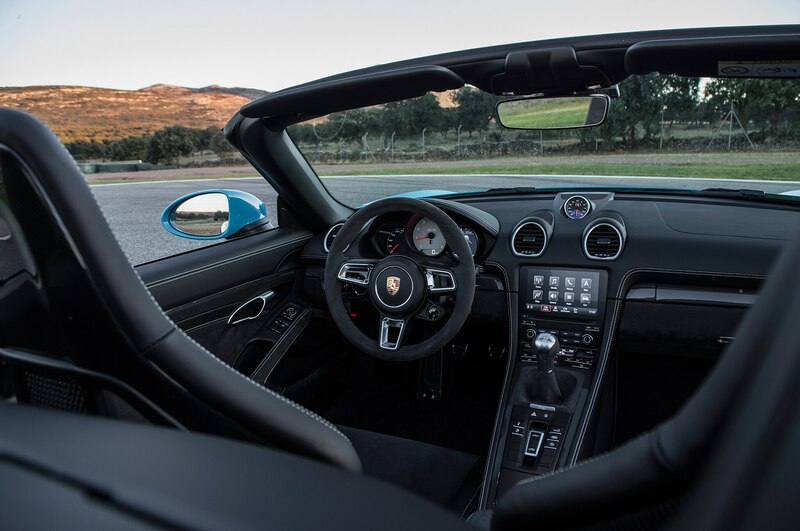 Manual 718 GTS’ handle the 0-60 mph sprint with the same urgency as the S, taking 4.4 seconds, but the PDK drops it down to the 3.9-second mark, a 0.3-second improvement. 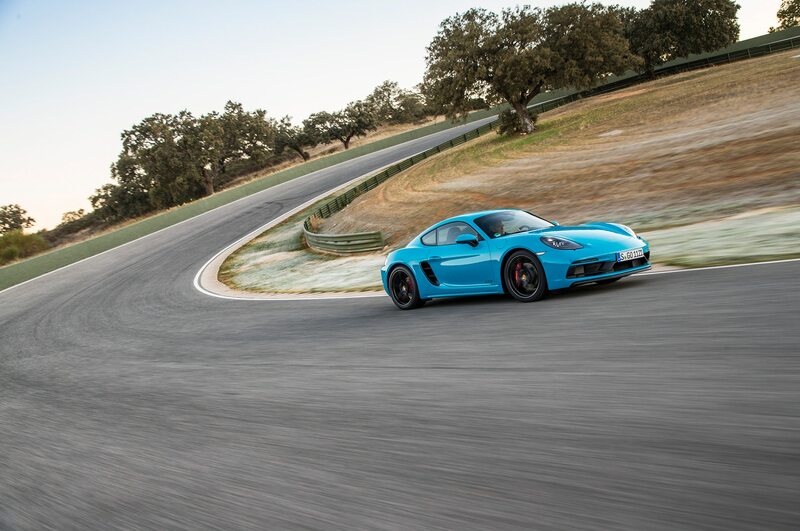 You get three extra mph on the top end too, now topping out at 180 mph. 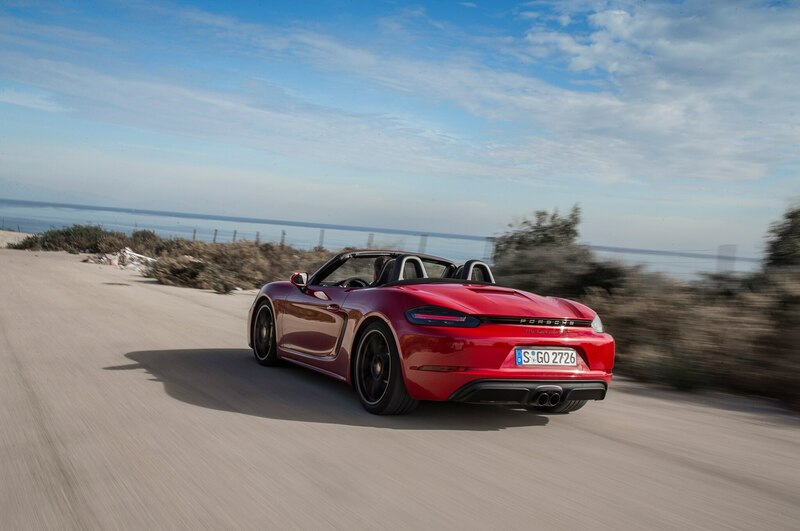 It’s fast, but not entirely unusable, even without miles of arrow-straight tarmac. 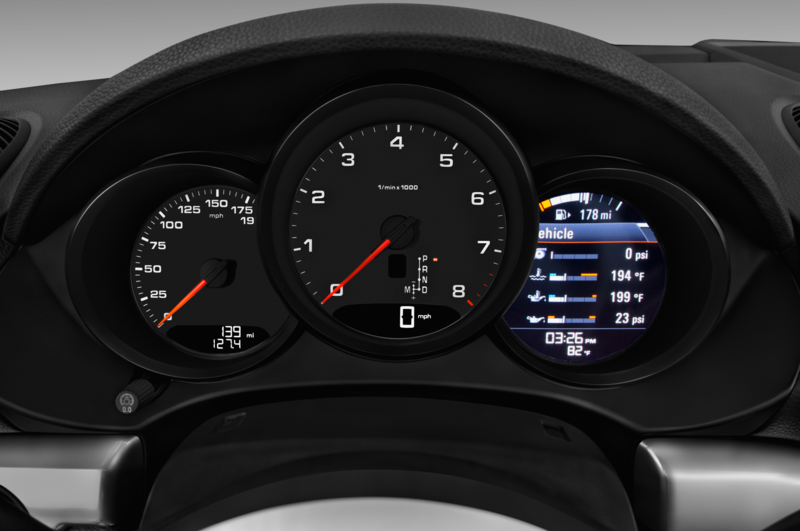 In Sport Plus, PDK holds the tach needle deep, but I found it best to leave the system in Sport for smoother transitions. 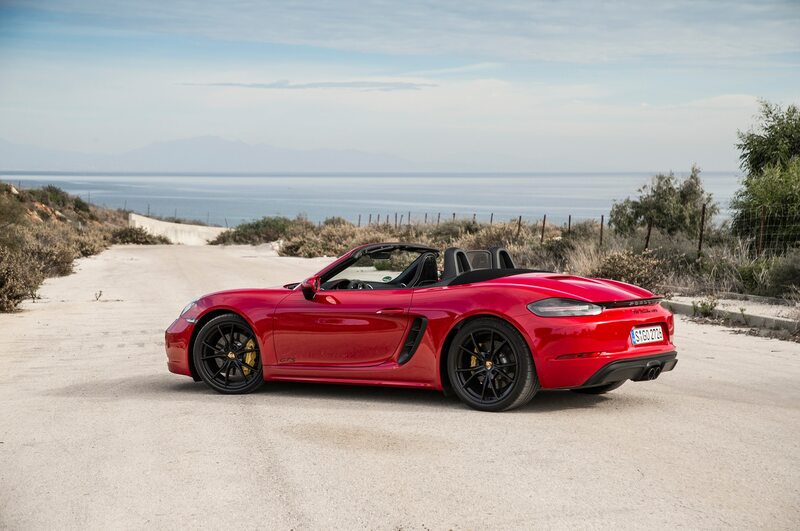 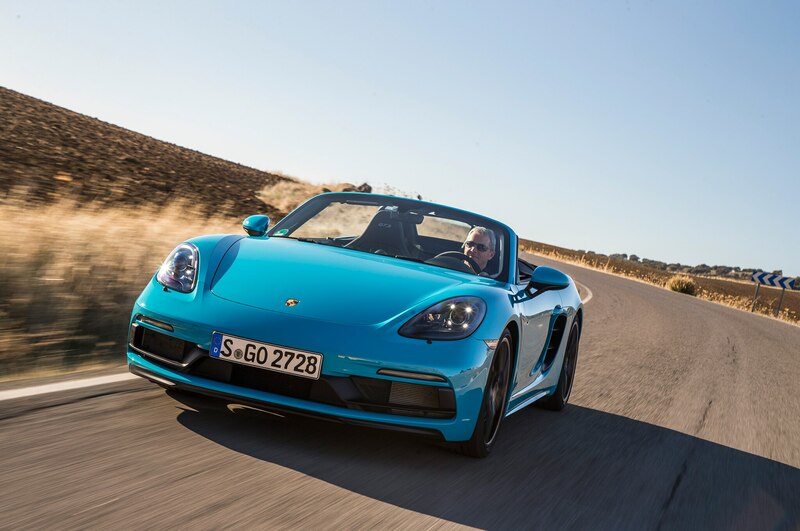 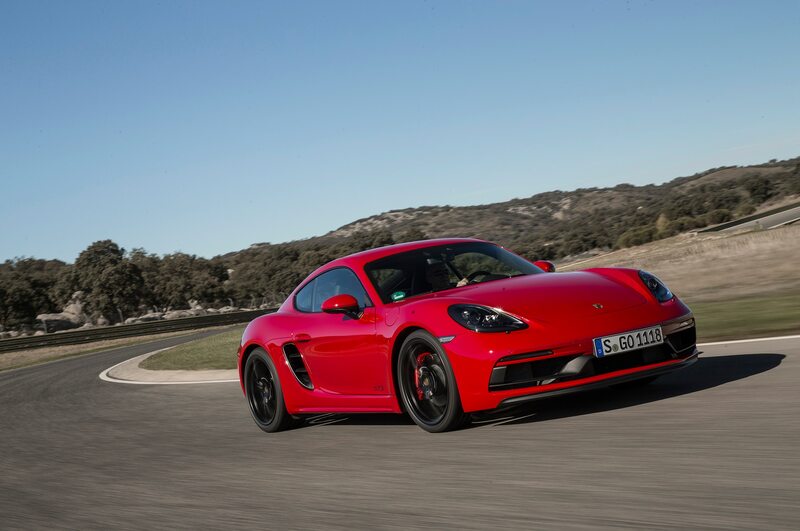 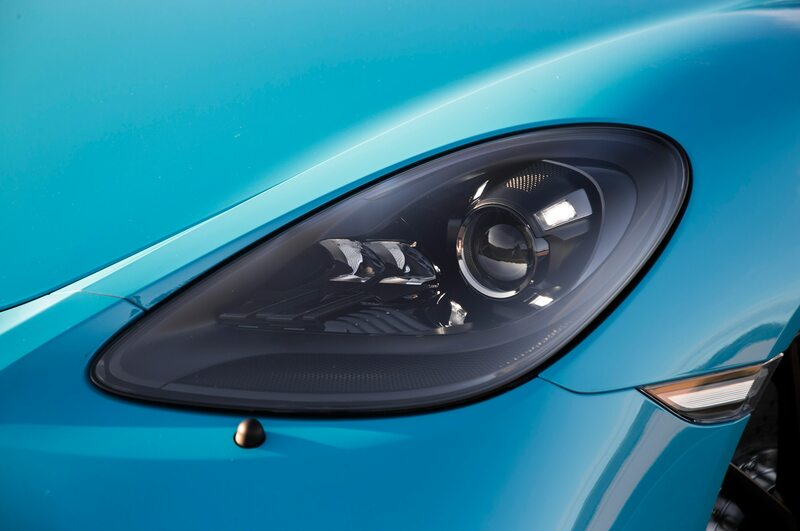 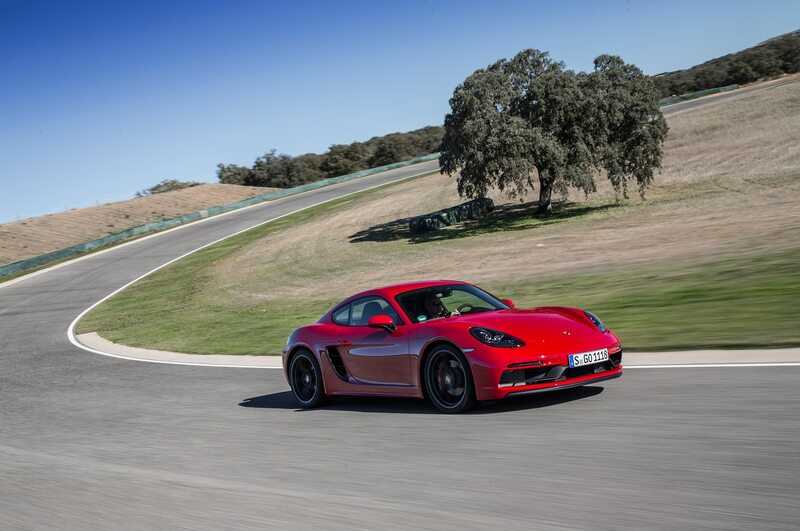 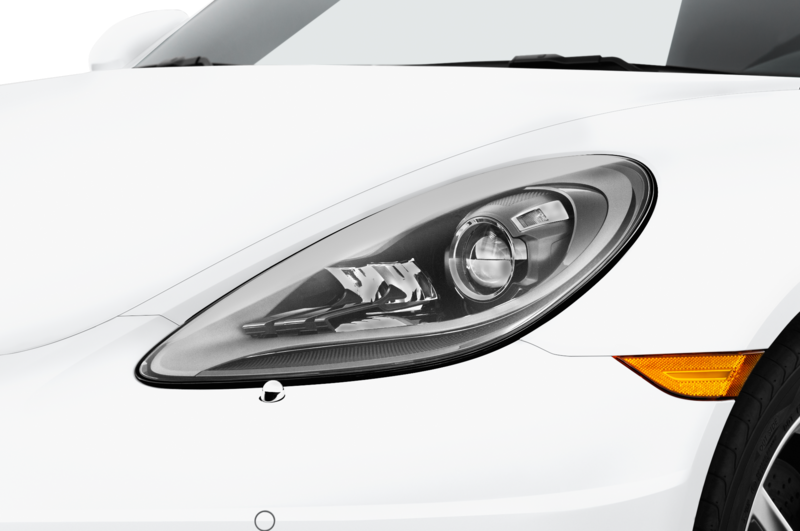 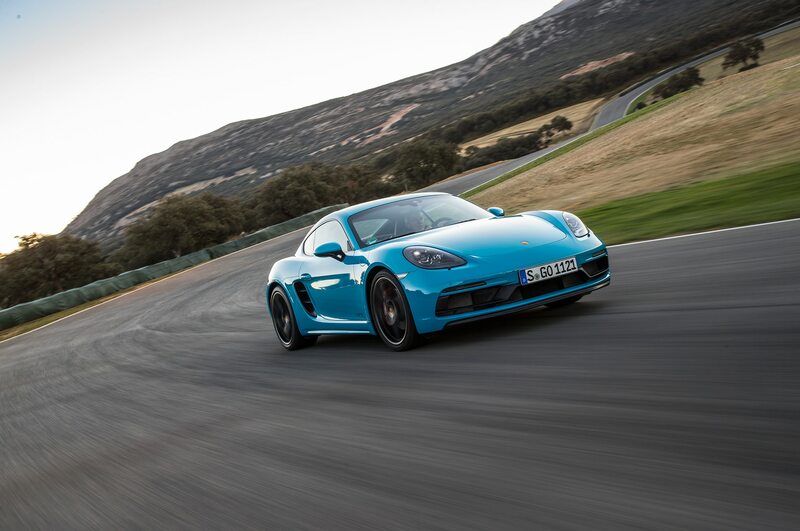 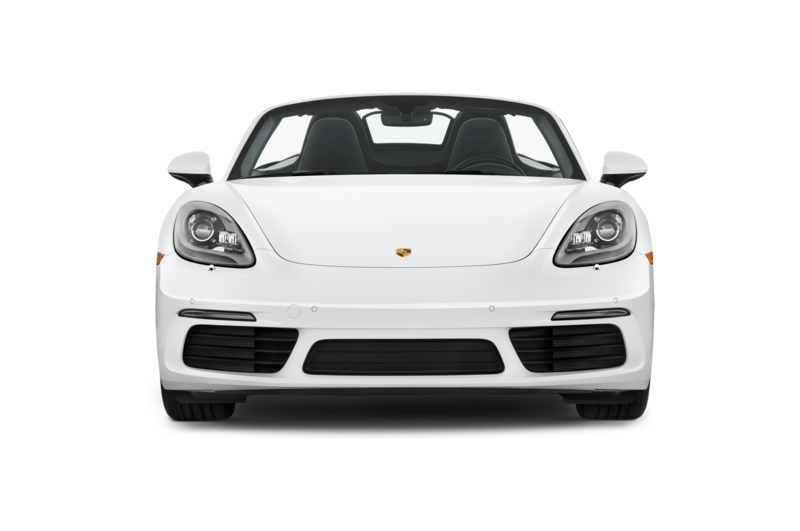 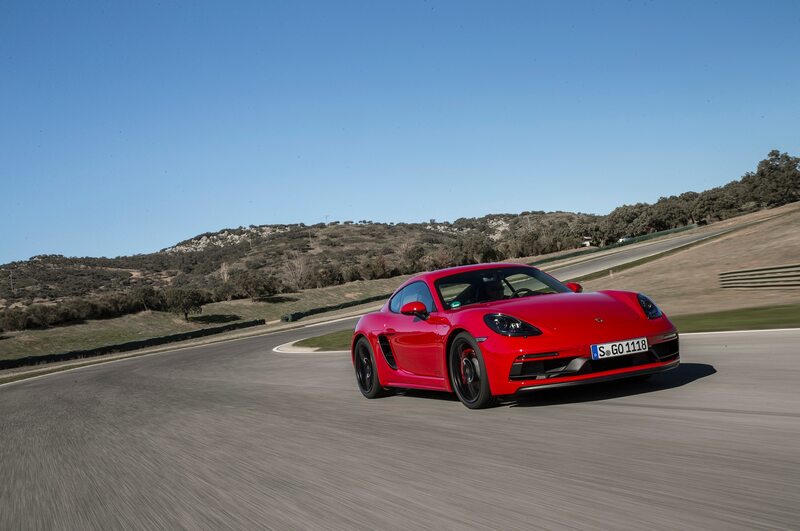 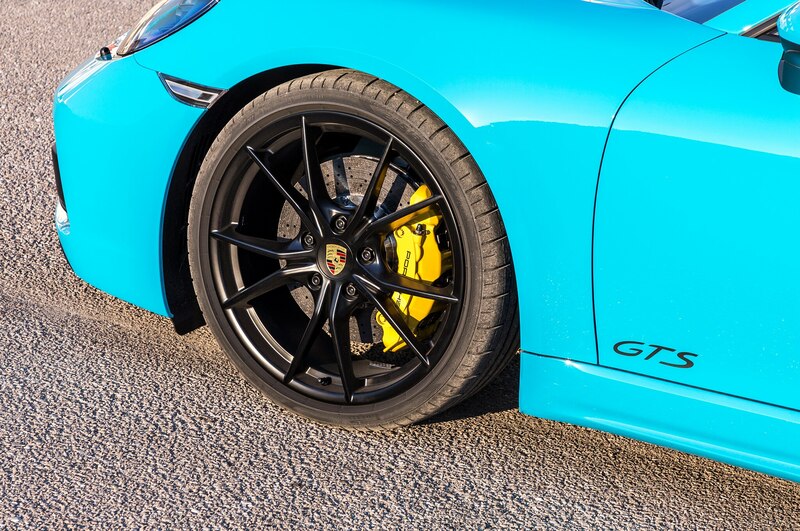 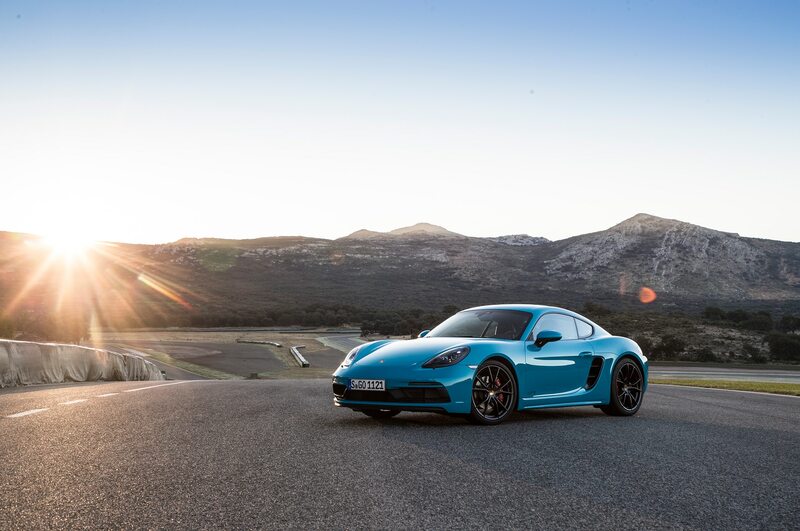 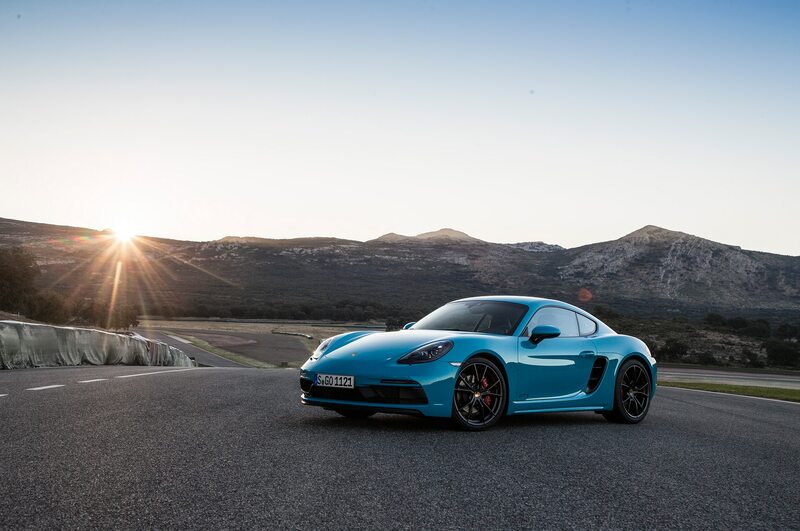 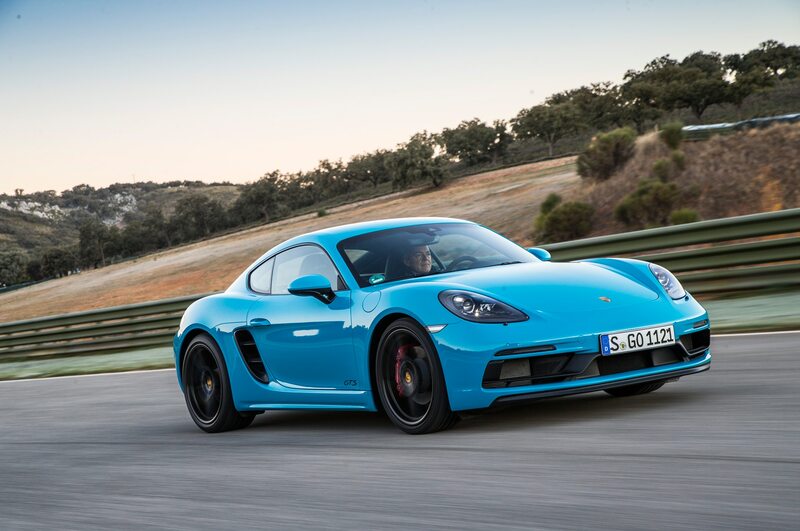 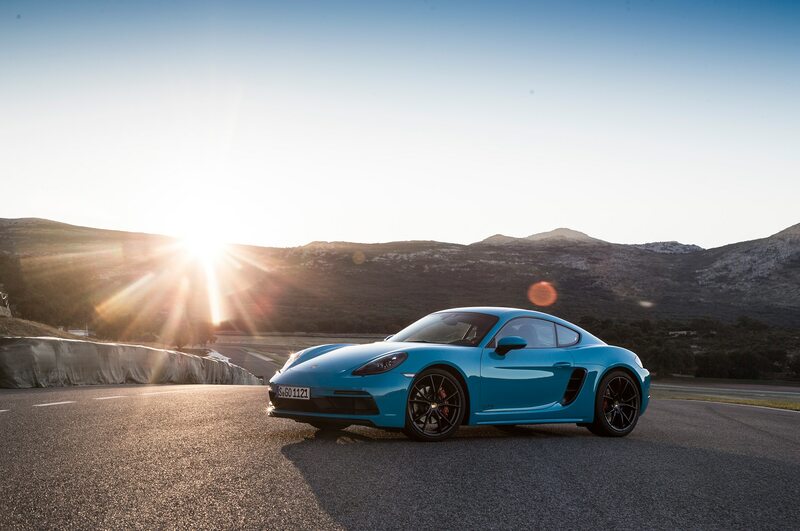 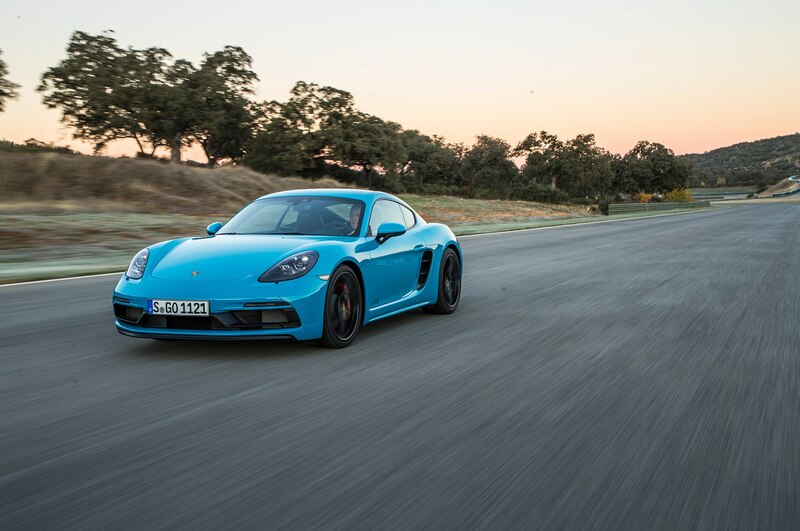 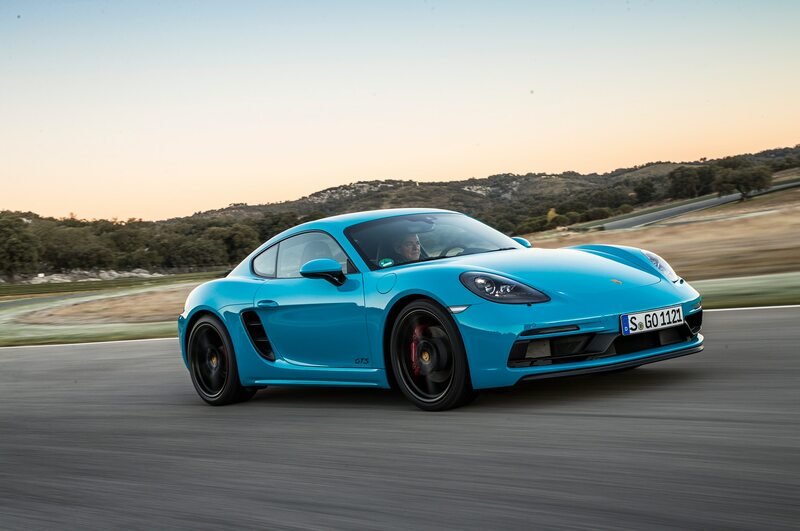 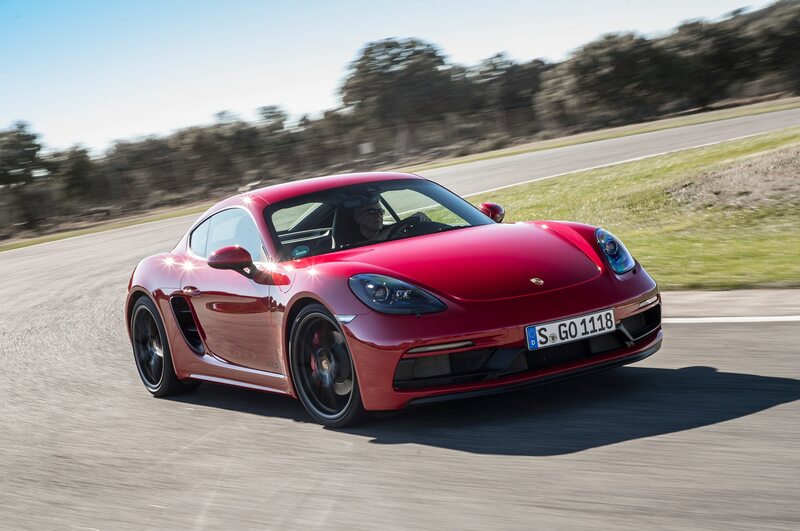 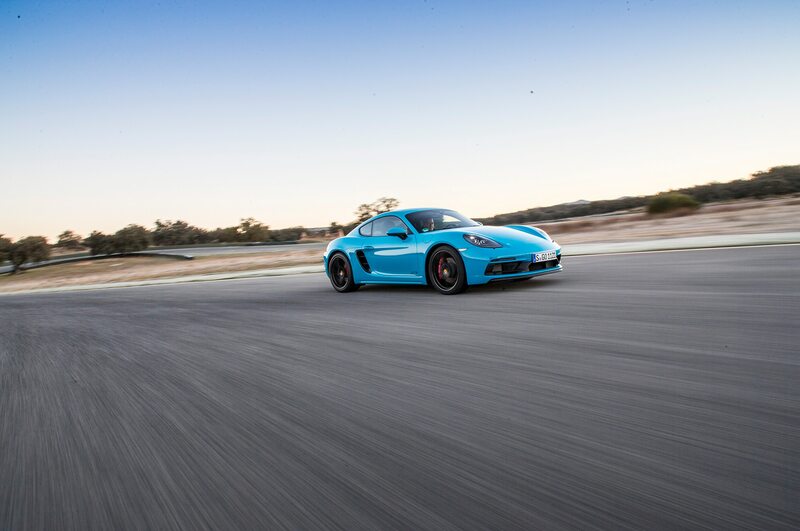 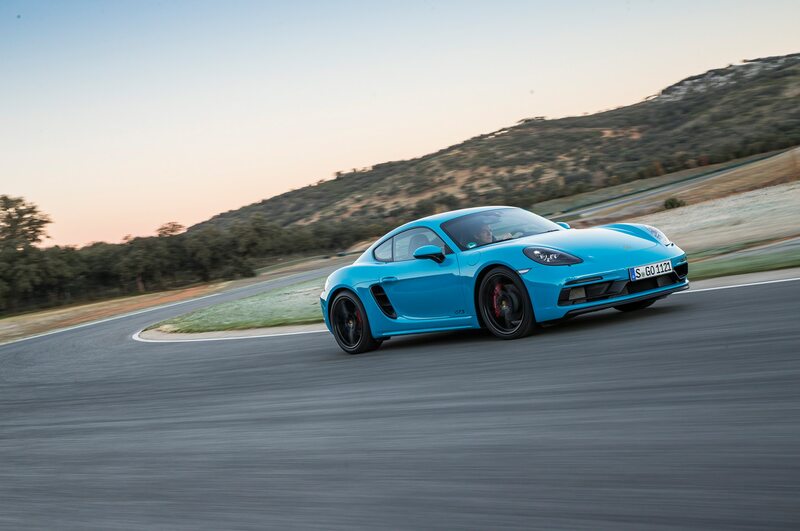 Though $80,000 is quite the chunk of change for a Boxster/Cayman, and that’s without options, keep in mind that when properly equipped, the GTS will likely outrun a base Carrera and maybe even a Carrera T–and you’re not setting foot in one of those for under $91,000. 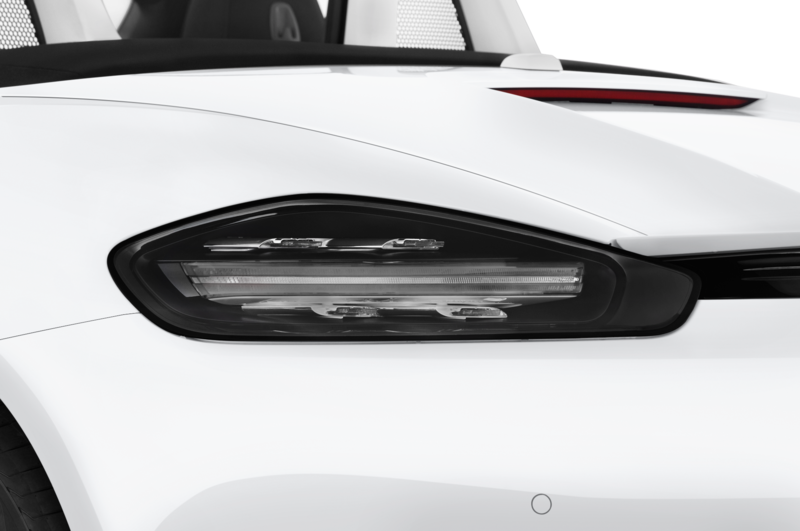 Trust me, you’re going to want the extra power and hardware, so in this case, you’re damned if you do, damned if you don’t. 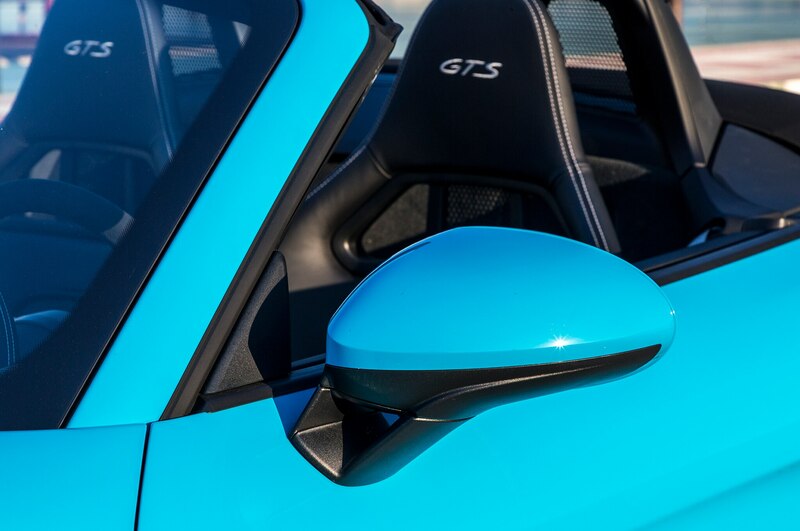 When you do bite the alcantara-covered bullet, you’ll be happy you did. 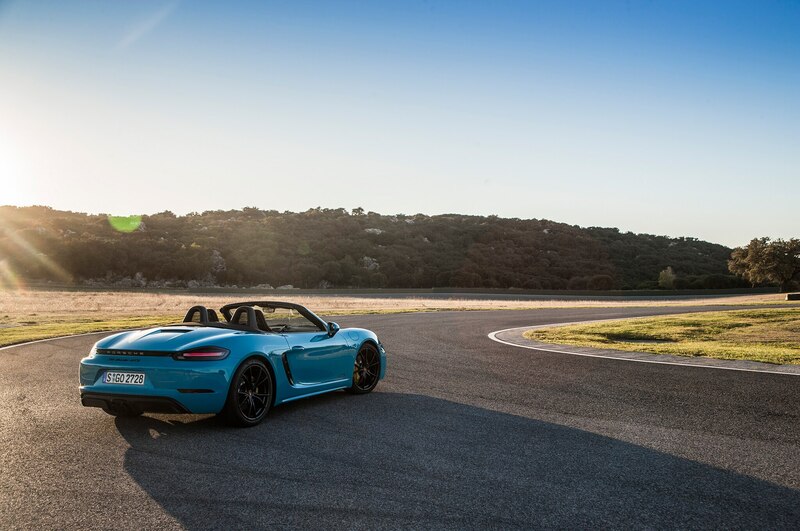 From the track to stop-and-go traffic, the 718 GTS is another perfect middle ground from Stuttgart.